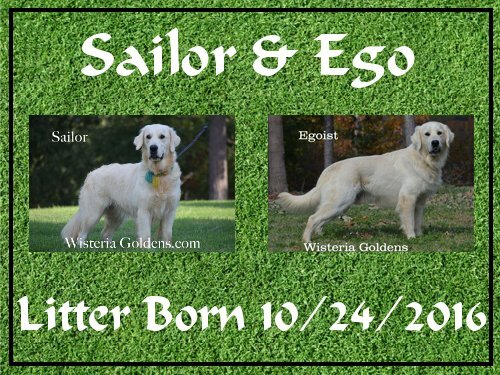 Previous Puppies – Sailor Litter: Sailor/Ego – Litter Born 10/24/2016. 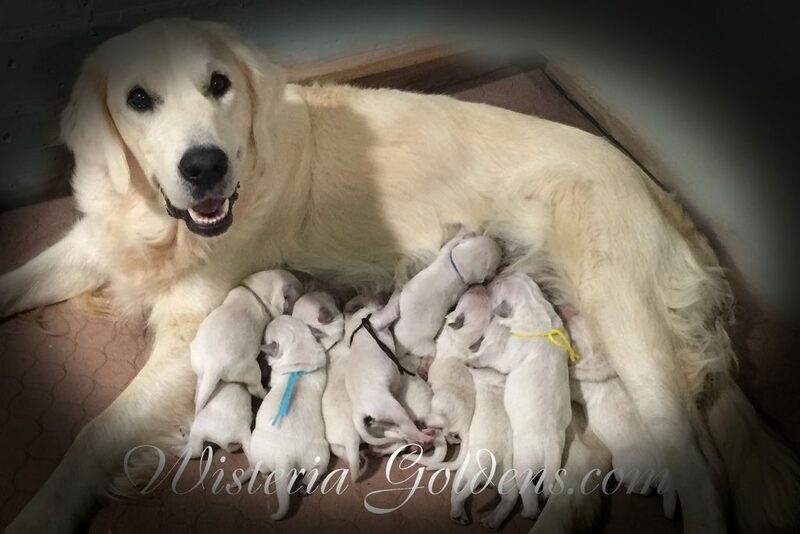 2 Girls and 9 Boys. 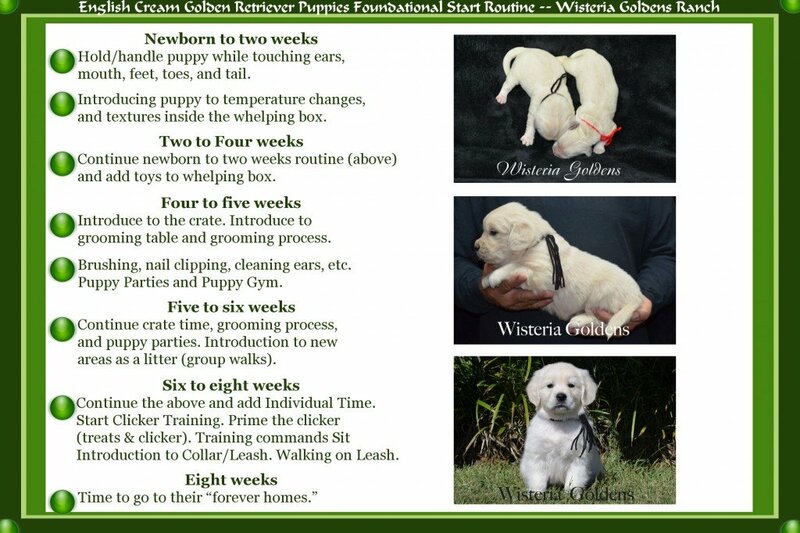 All Sailor Litter puppies are sold. 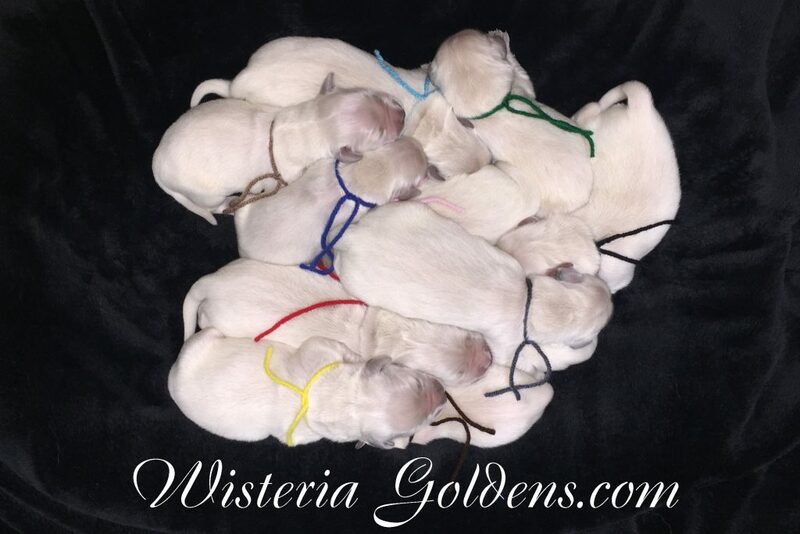 Sailor Litter Born 10-24-2016. 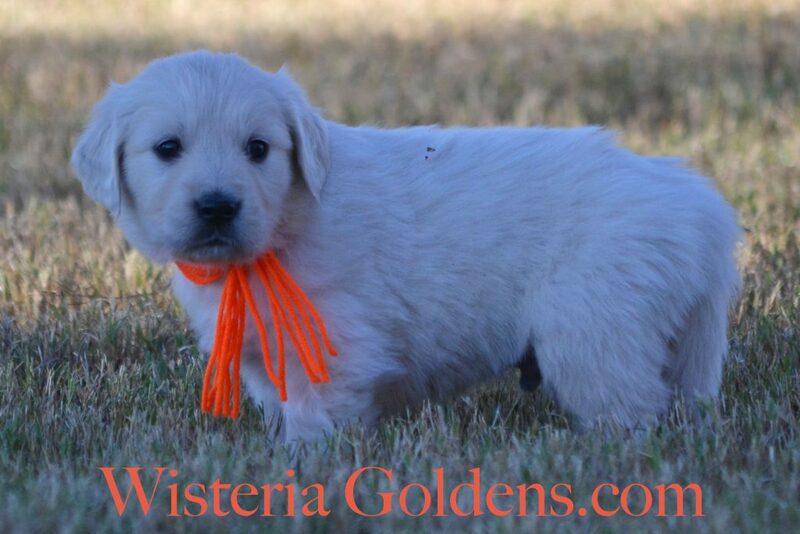 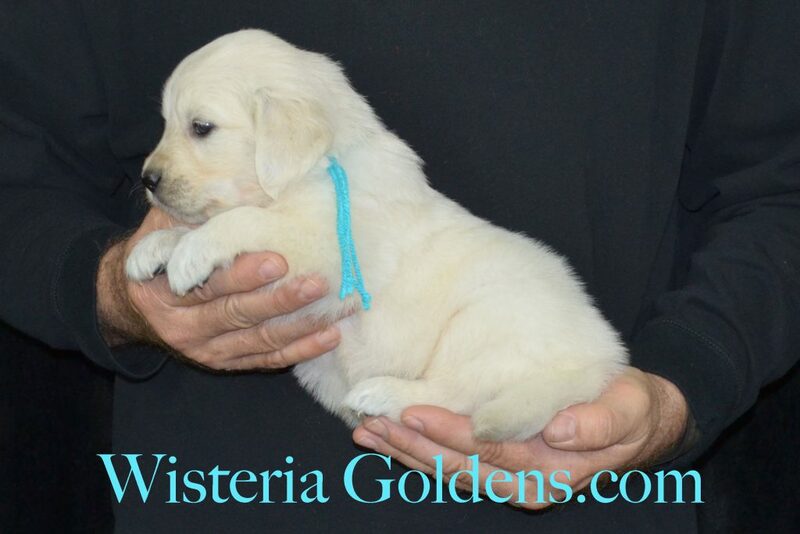 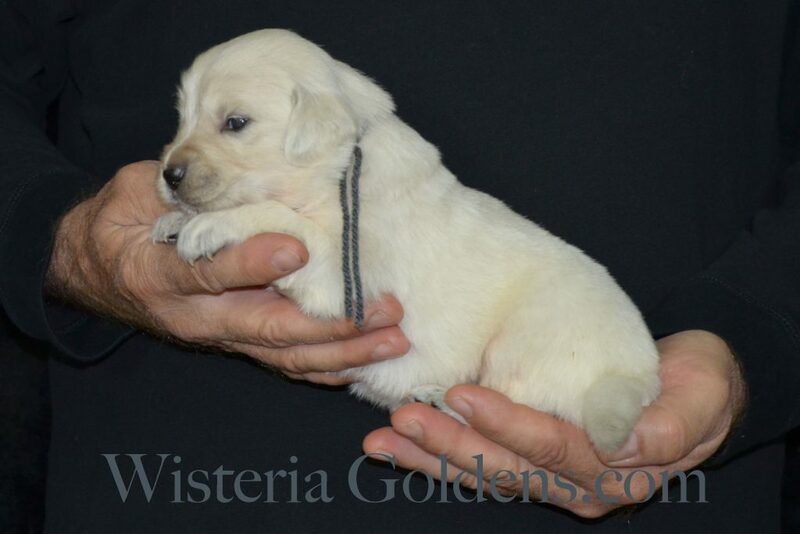 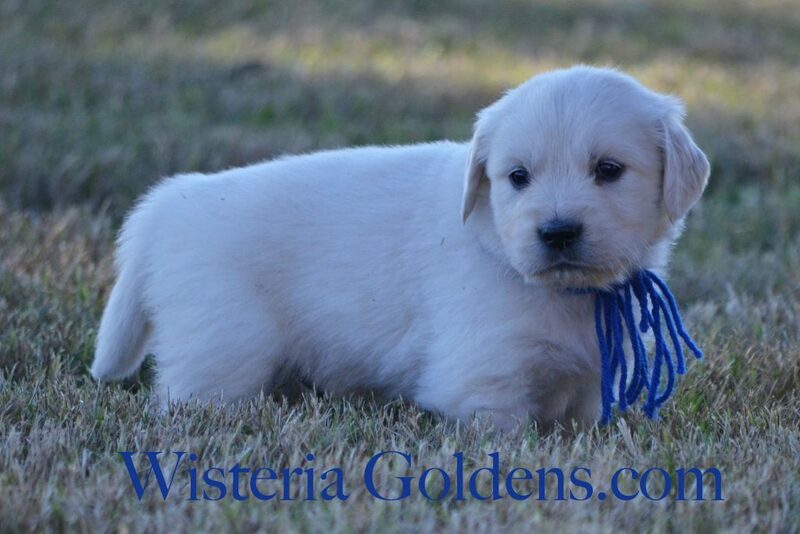 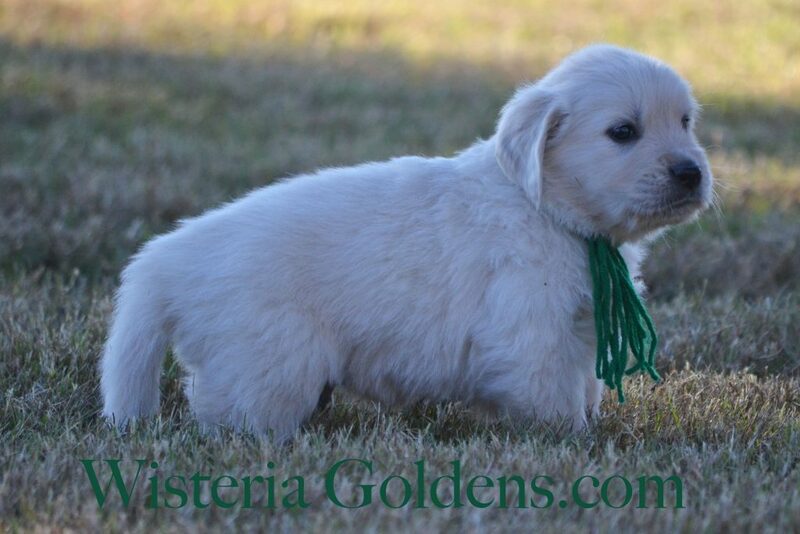 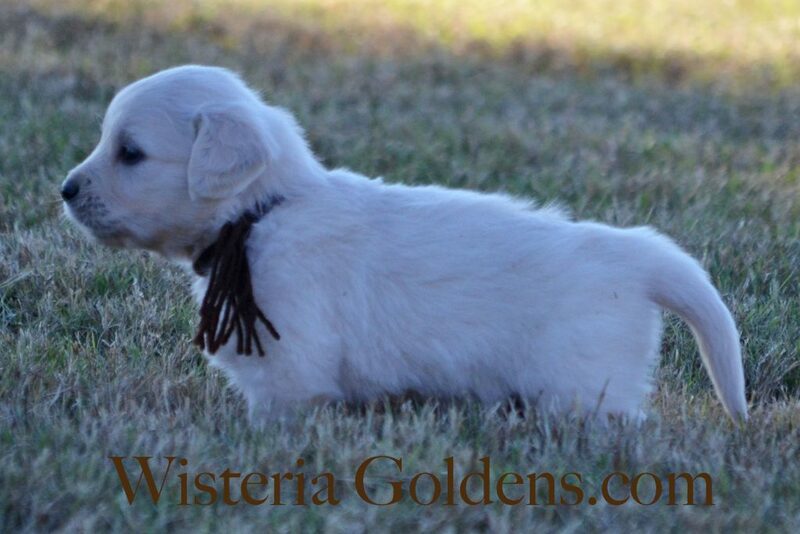 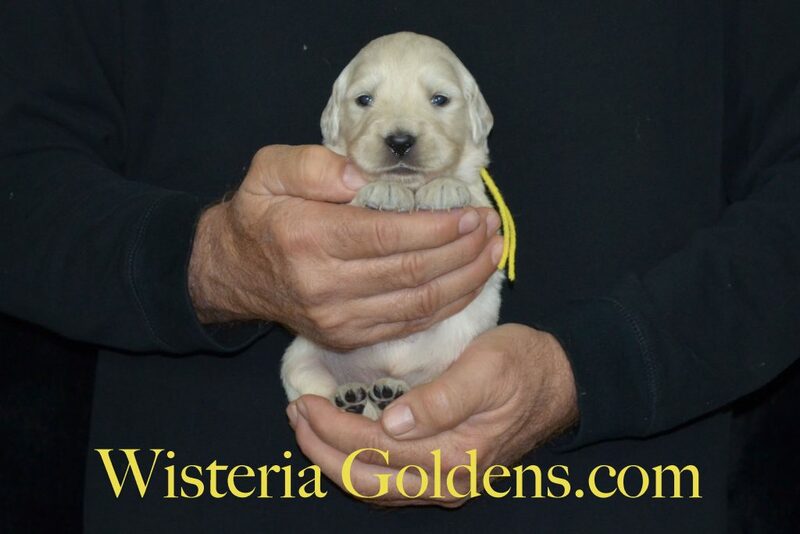 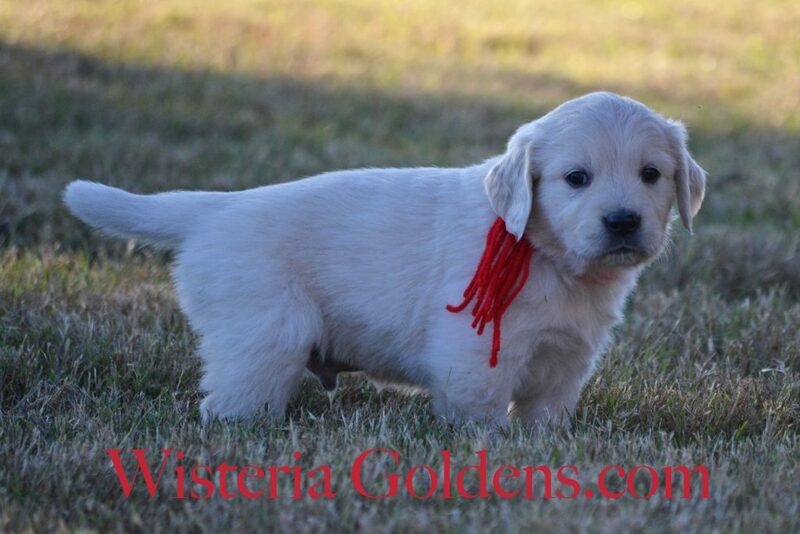 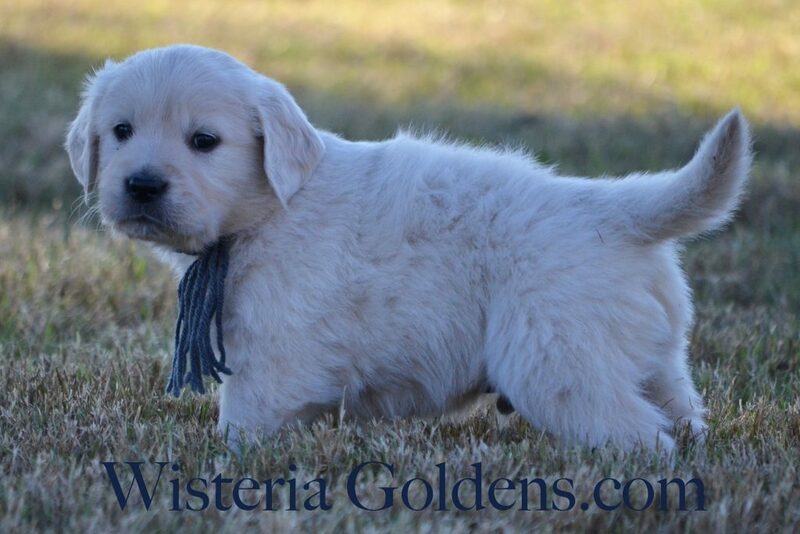 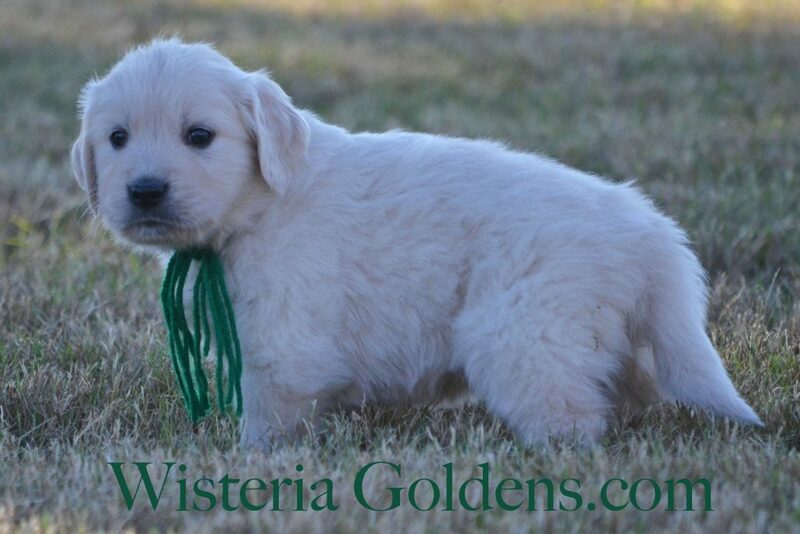 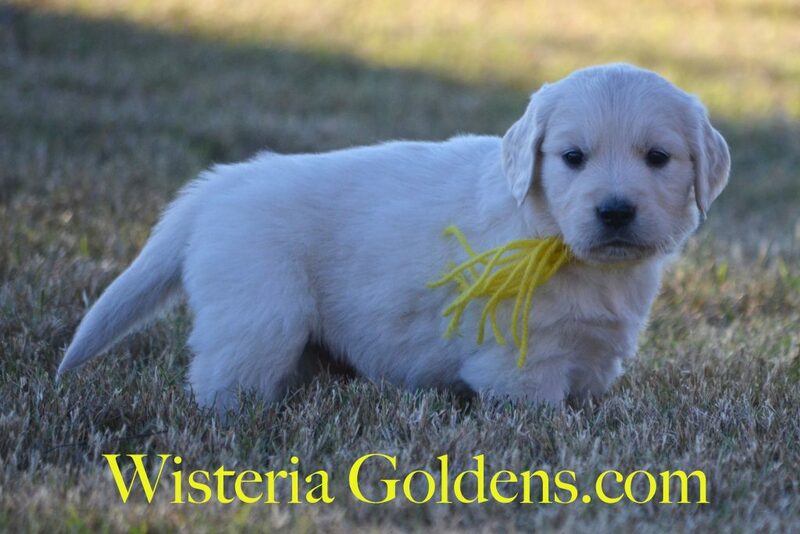 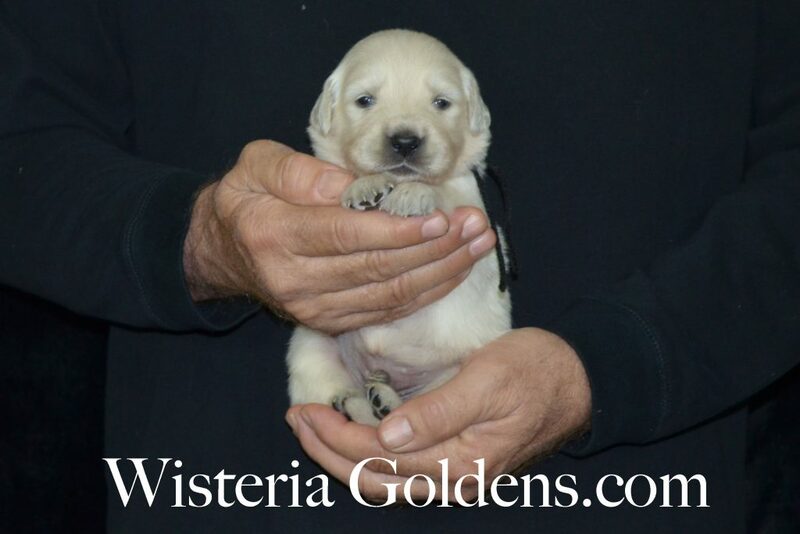 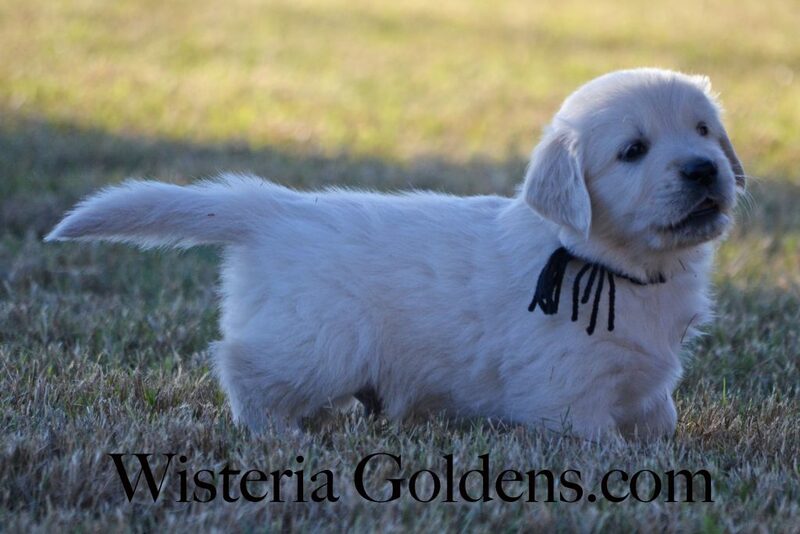 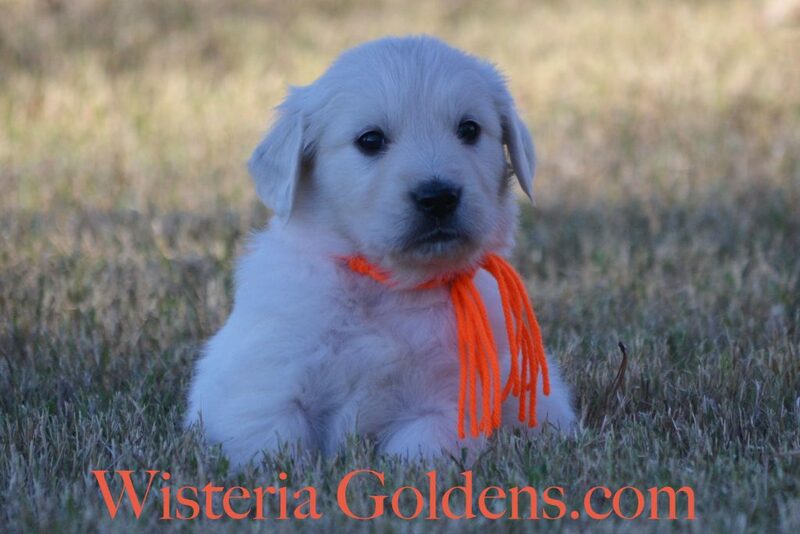 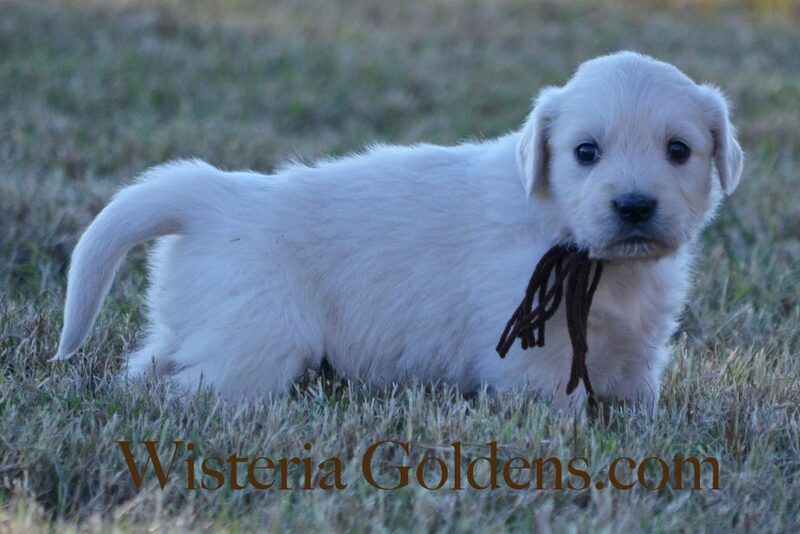 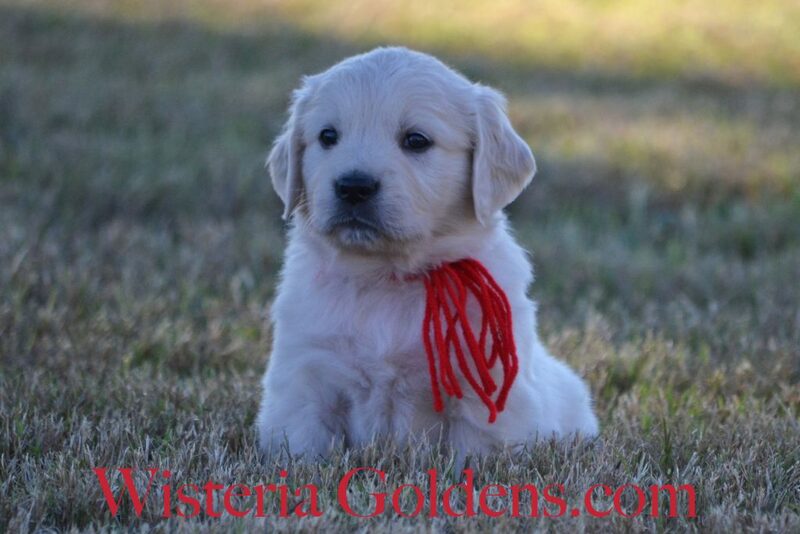 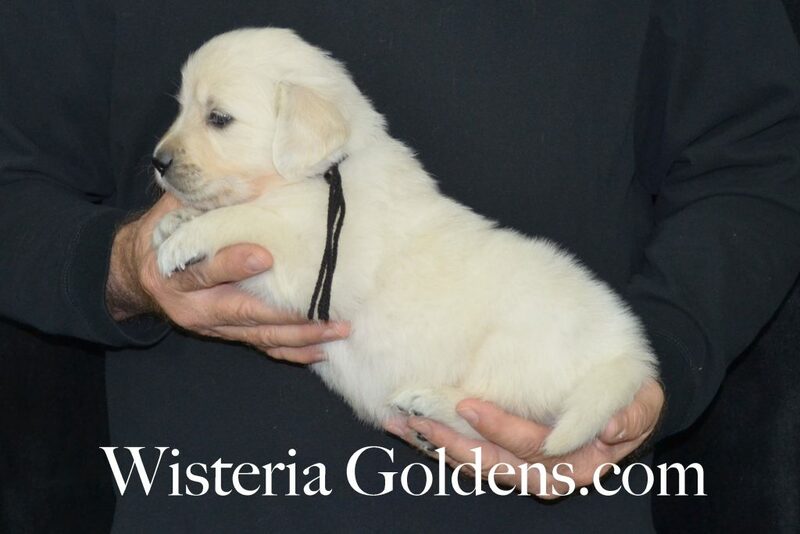 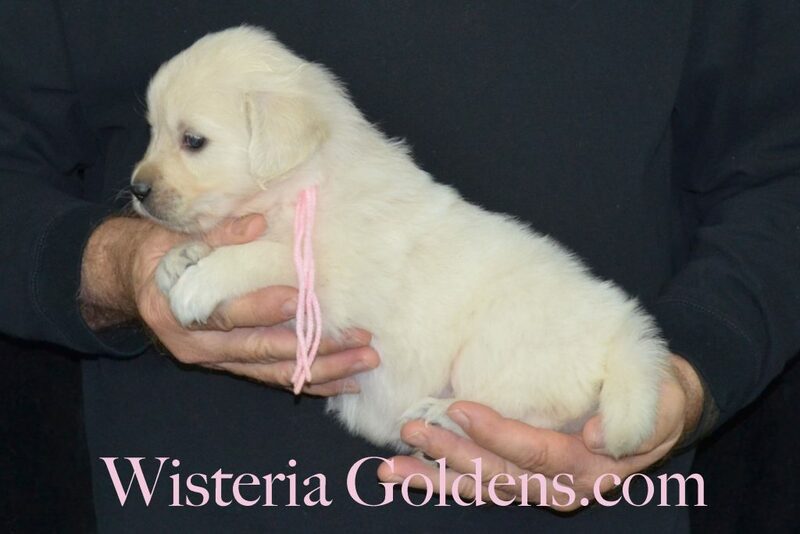 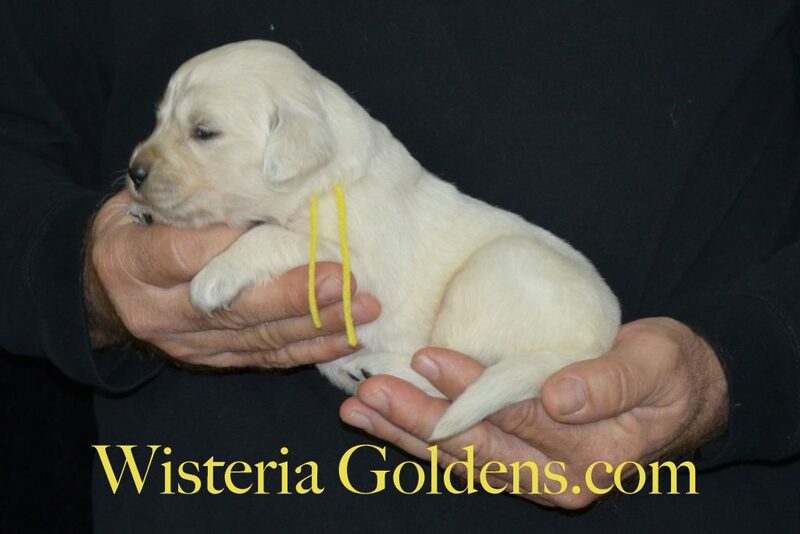 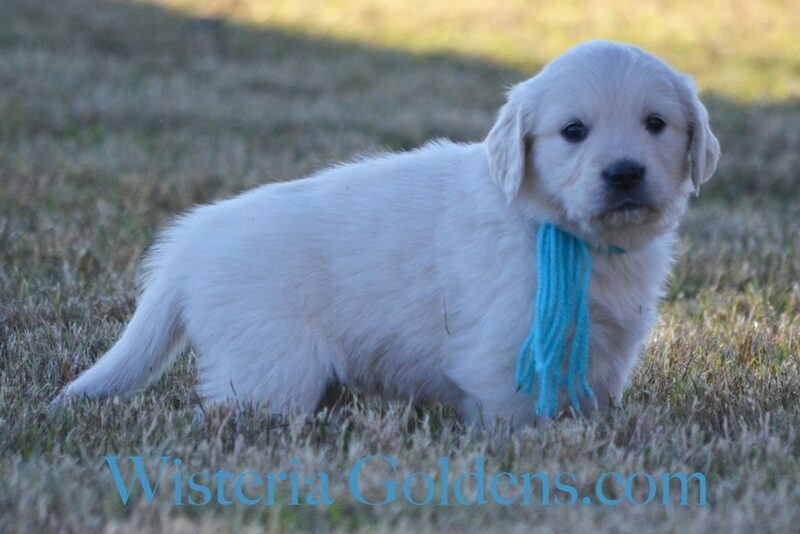 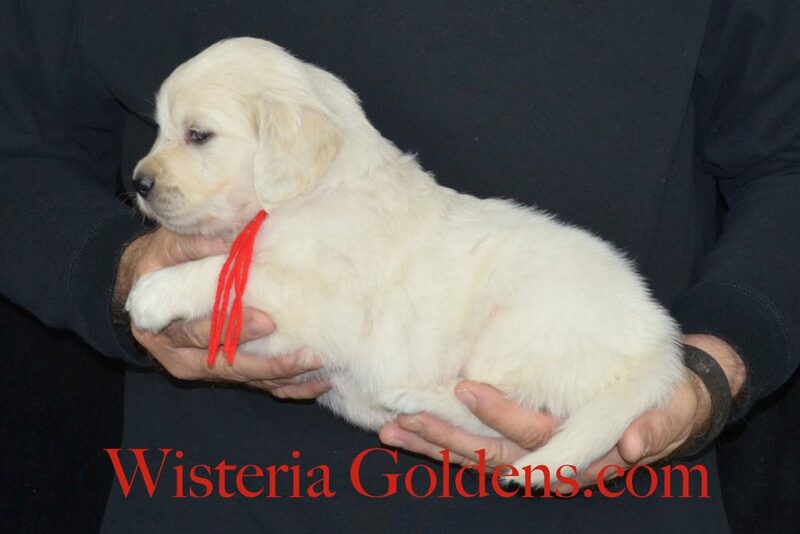 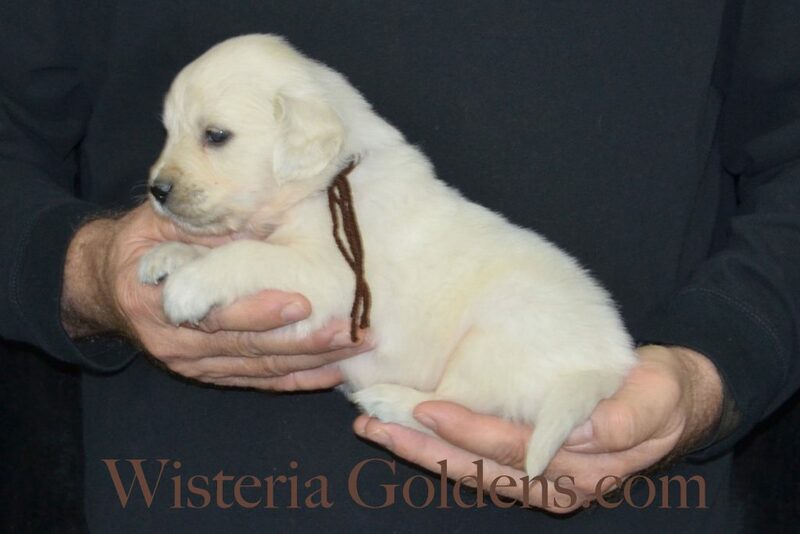 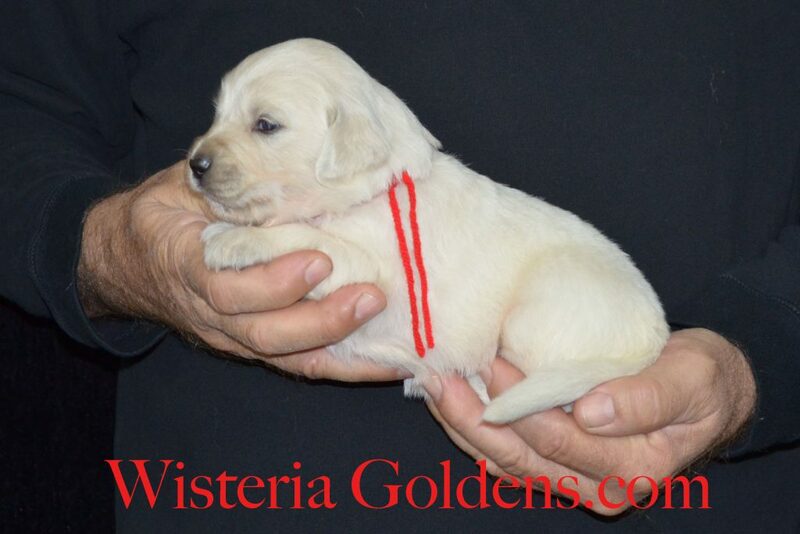 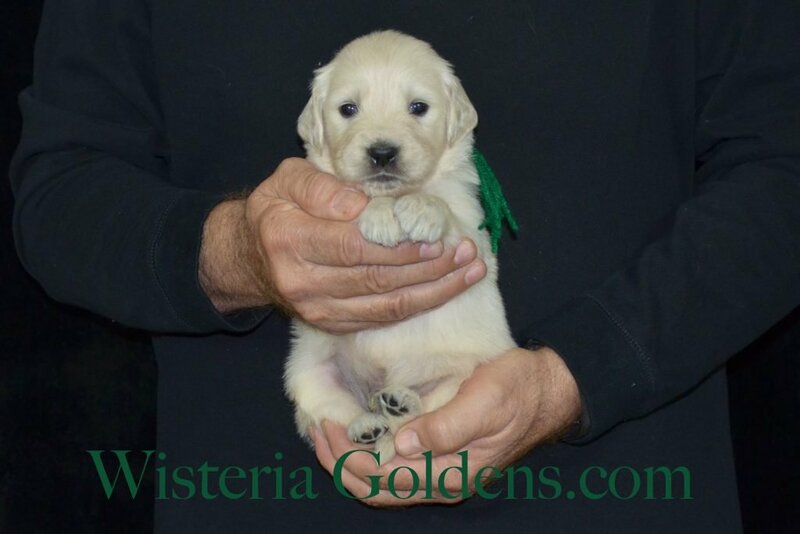 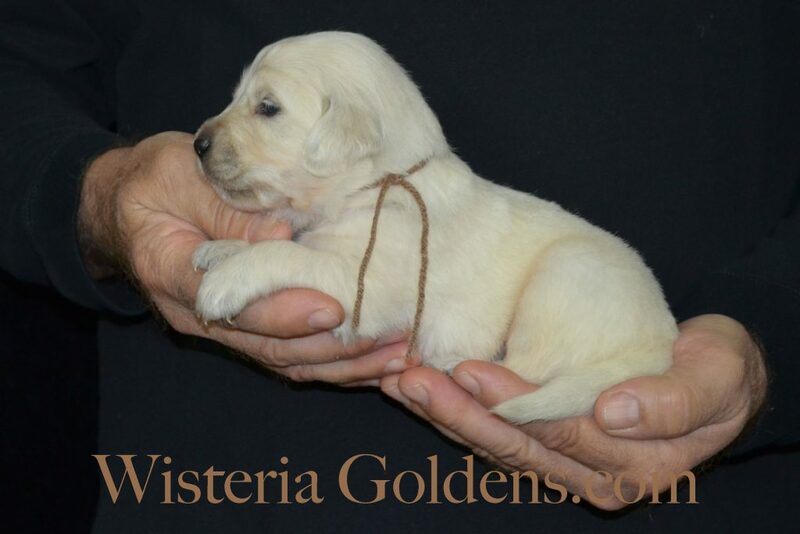 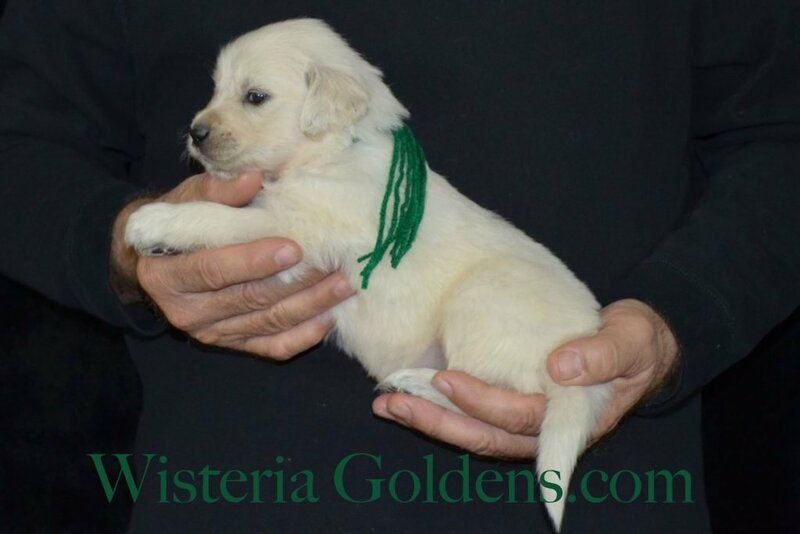 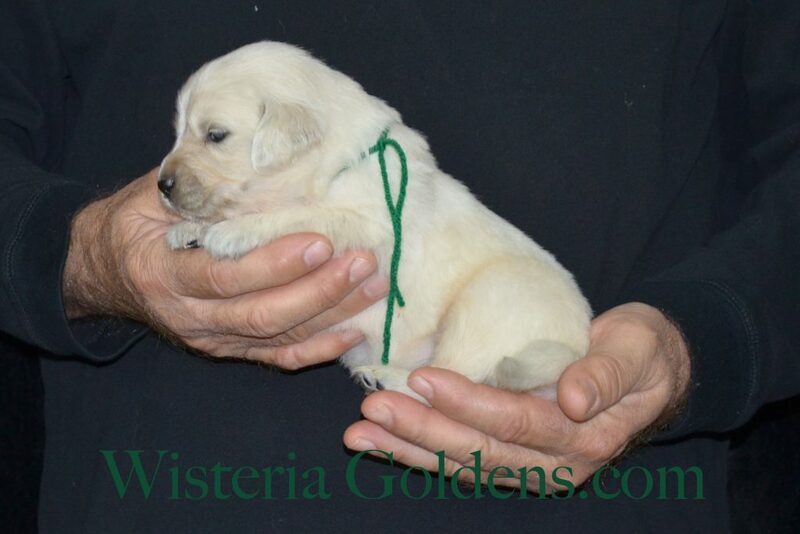 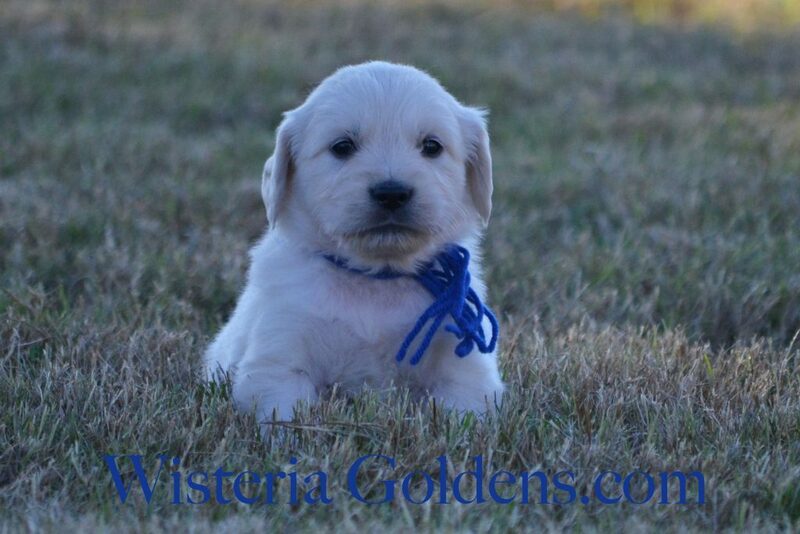 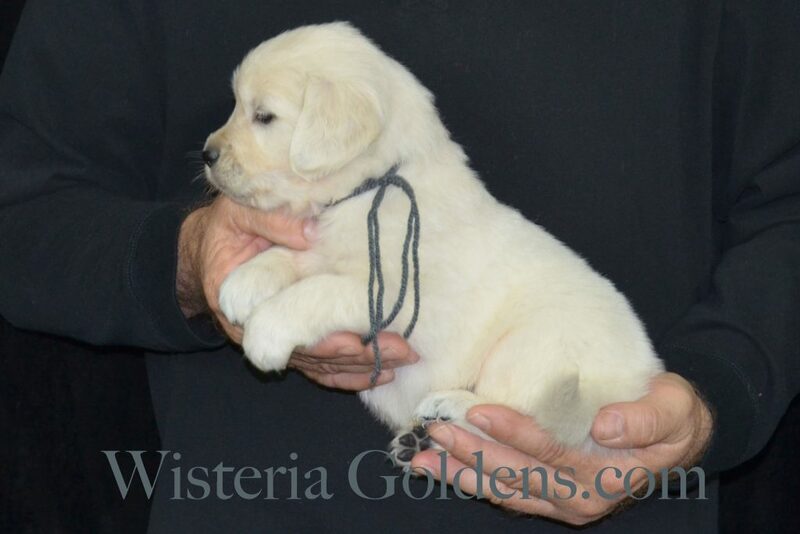 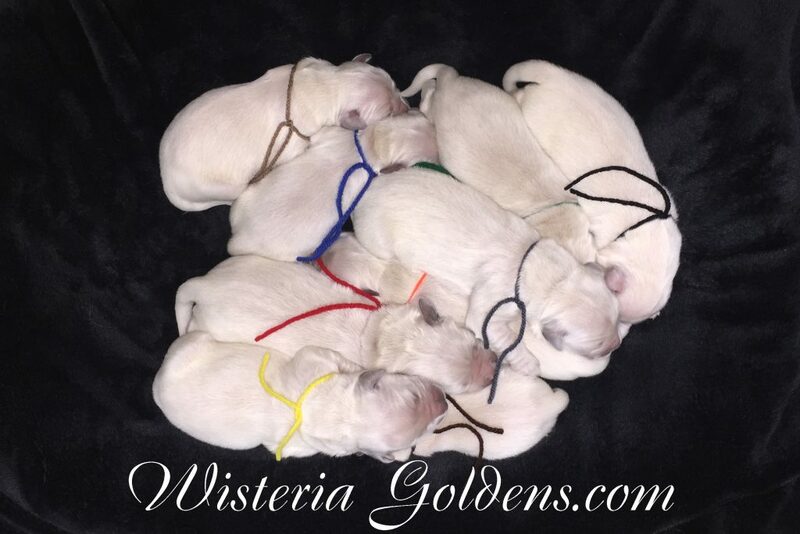 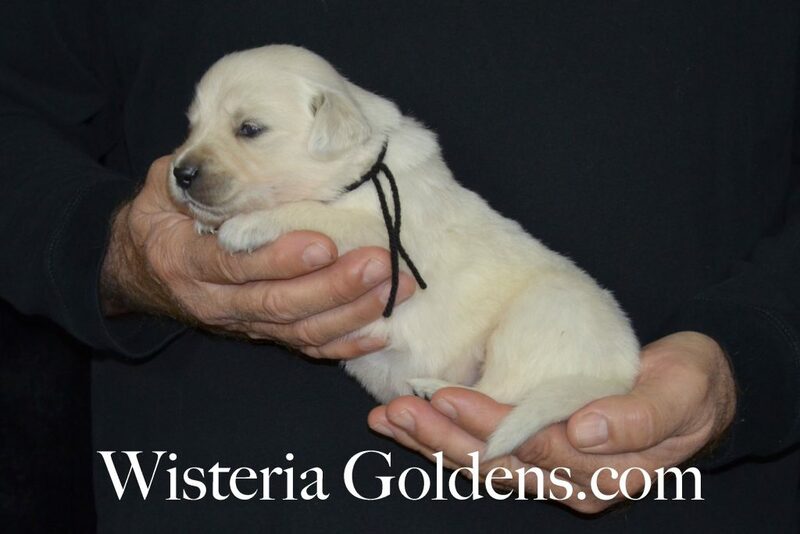 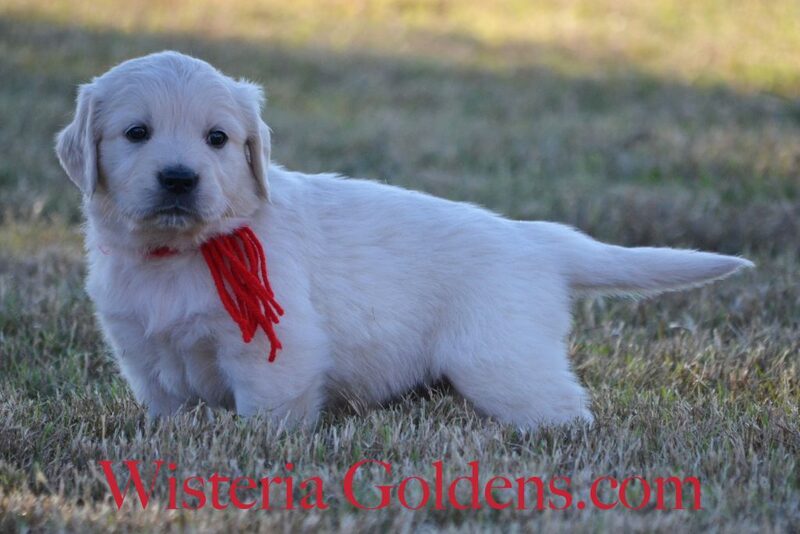 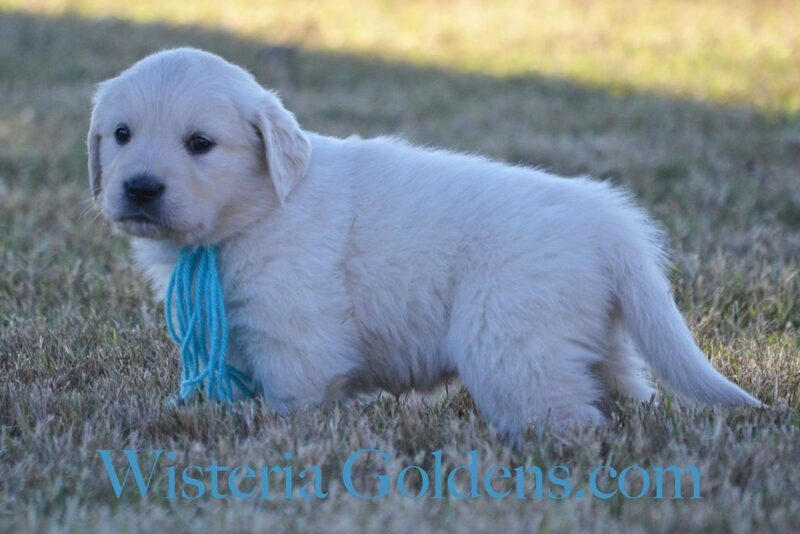 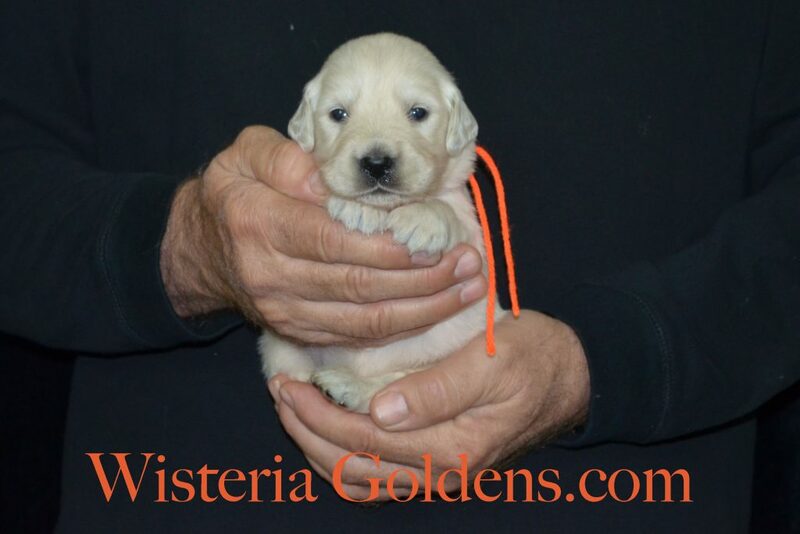 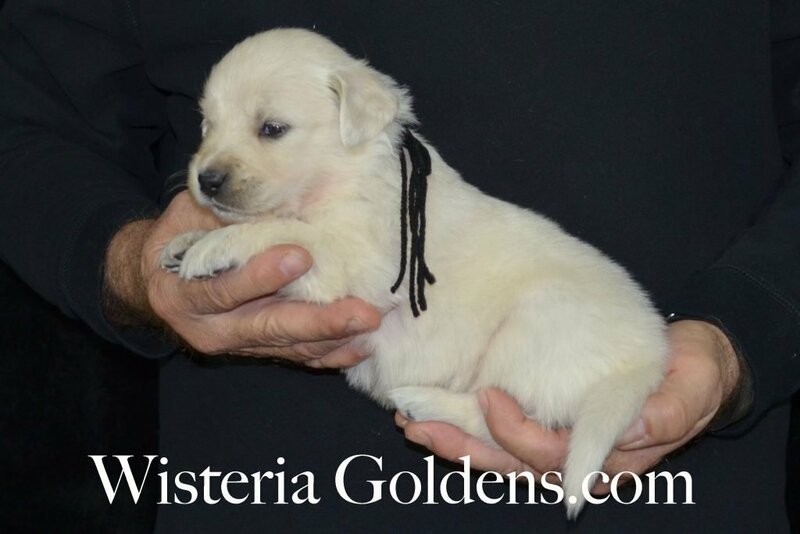 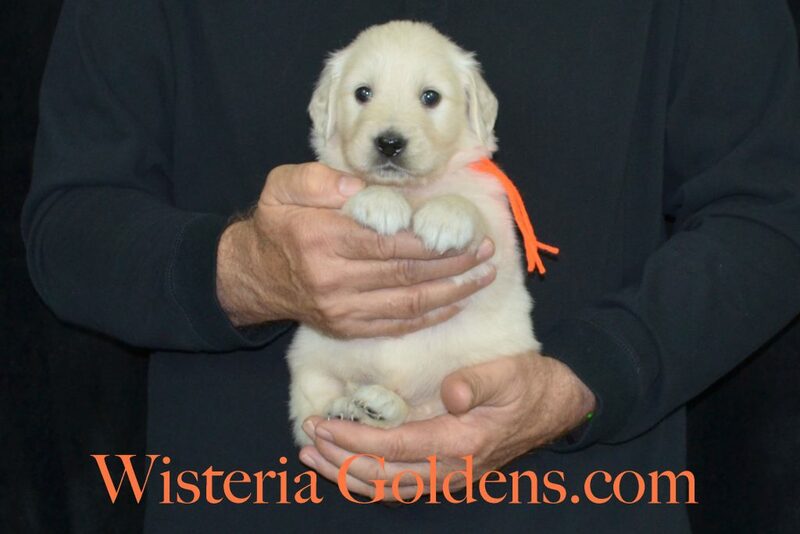 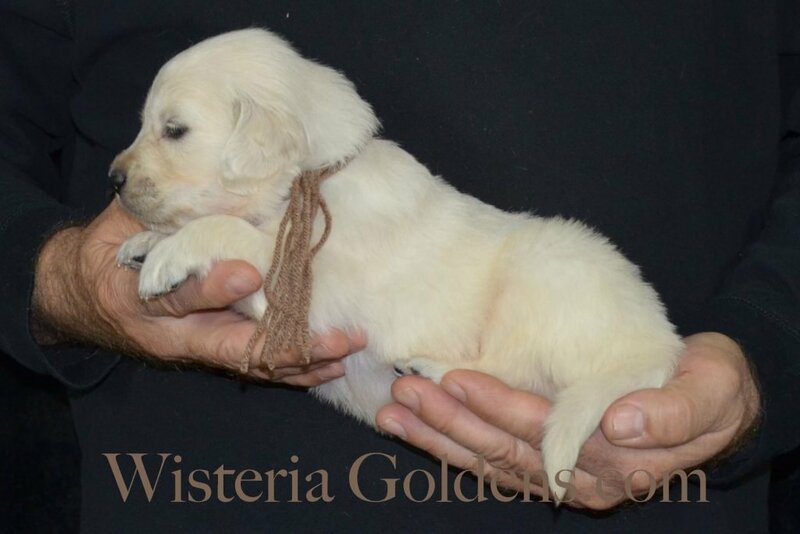 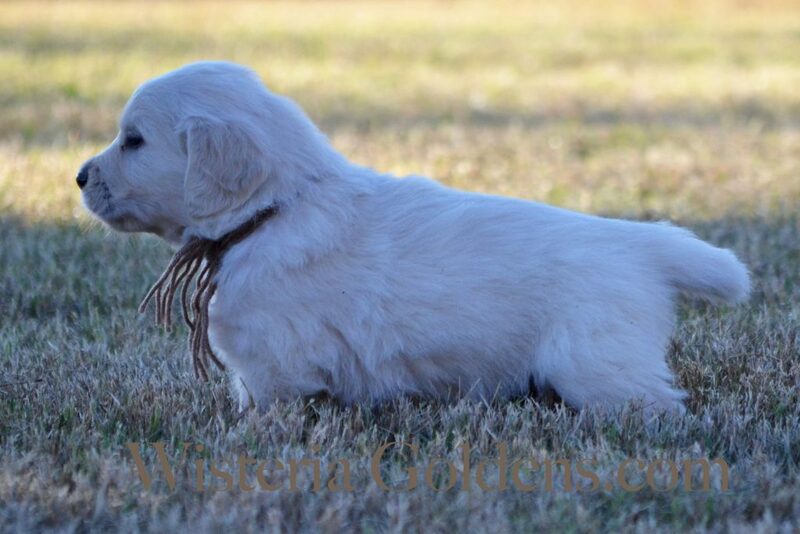 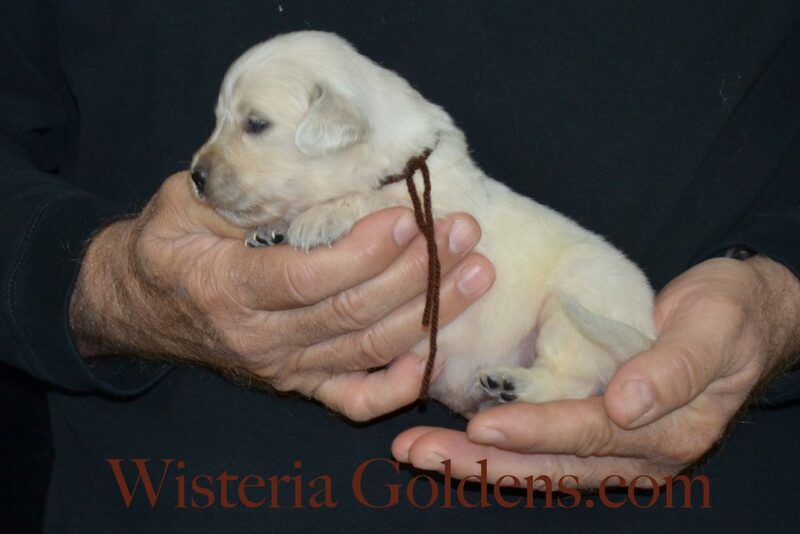 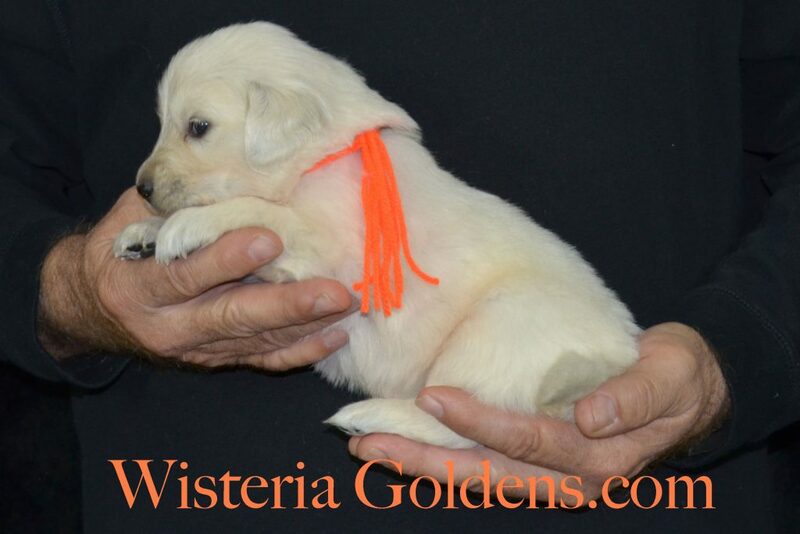 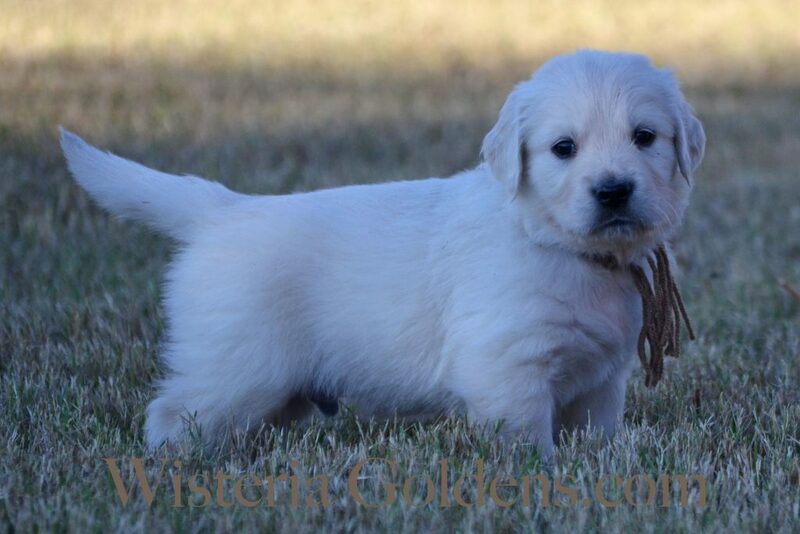 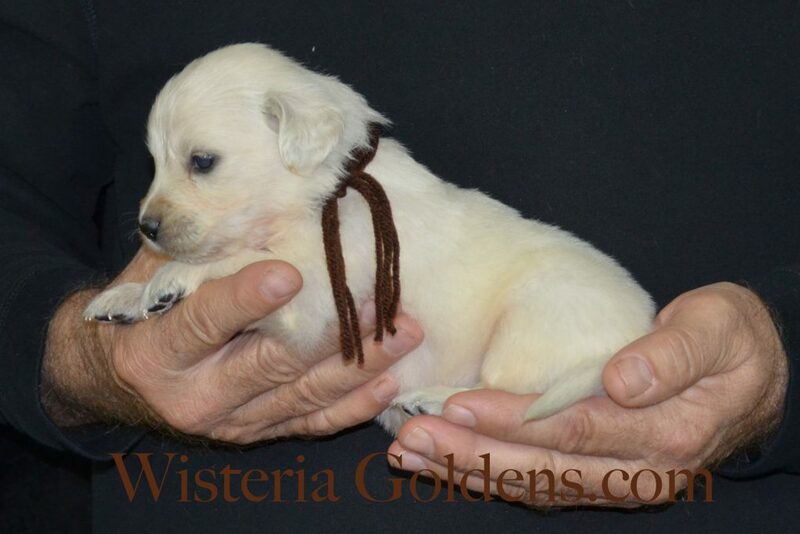 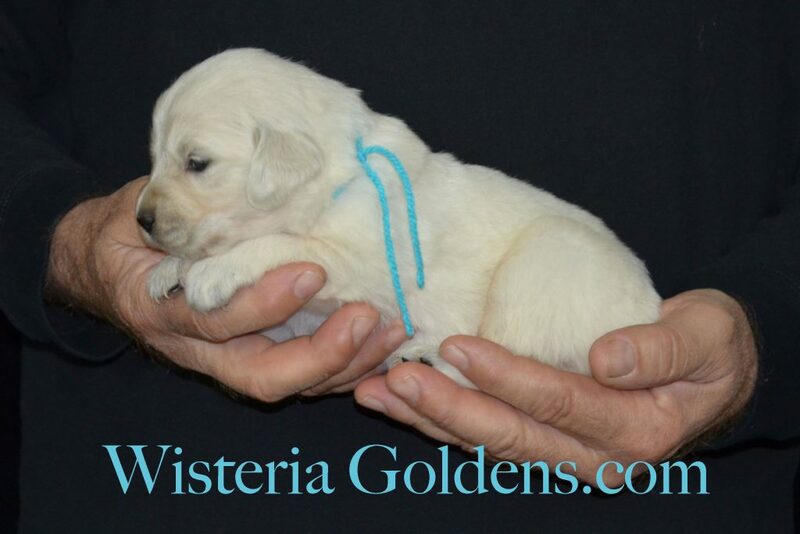 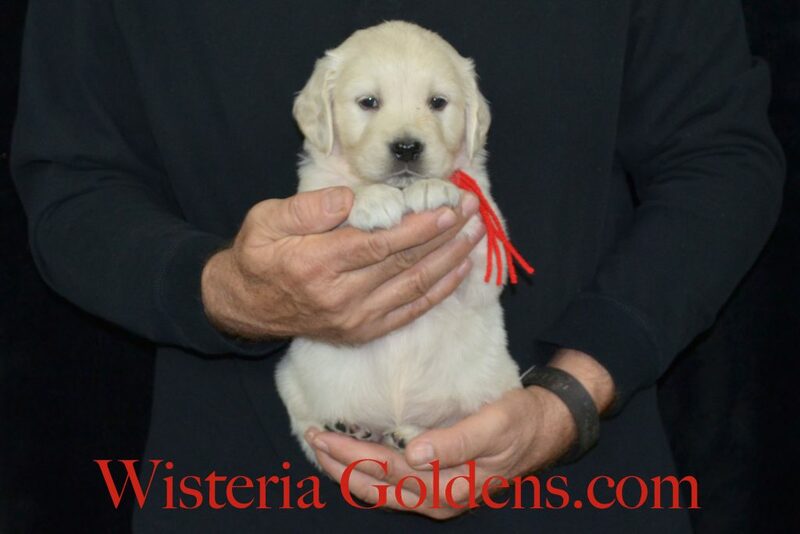 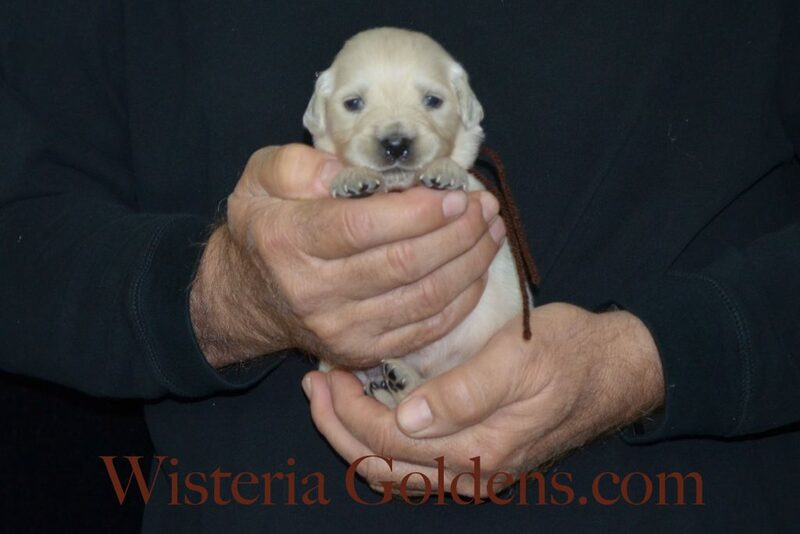 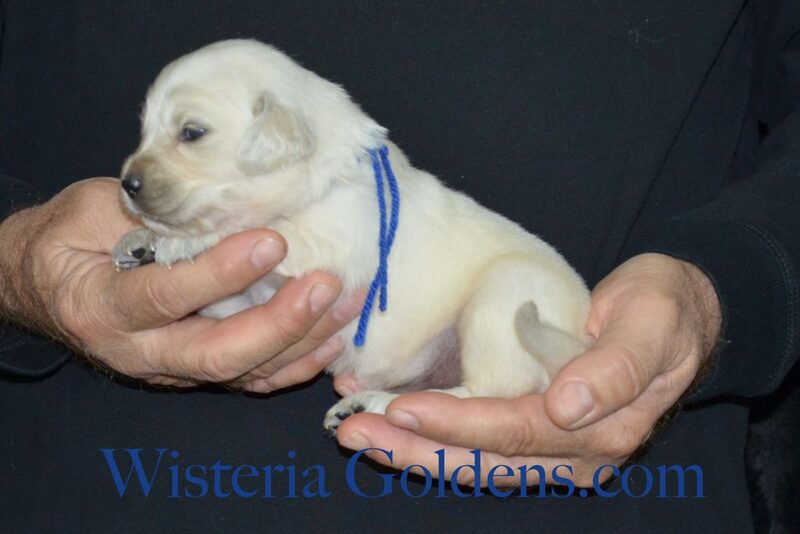 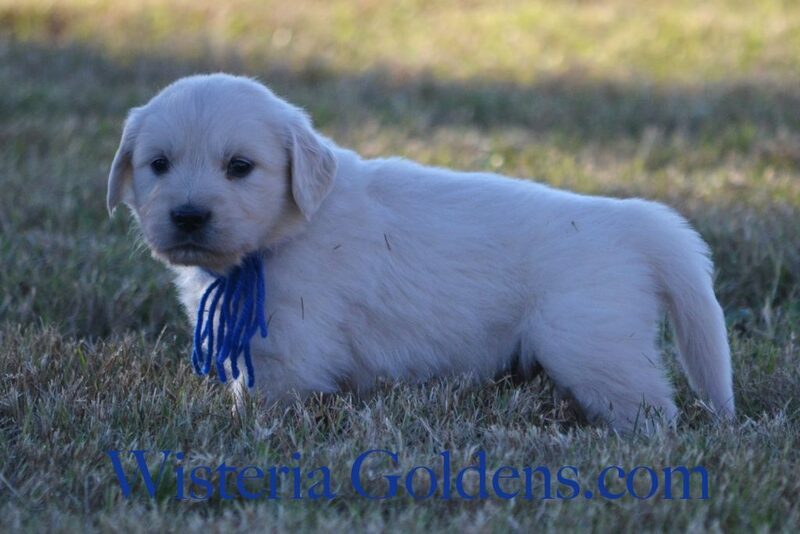 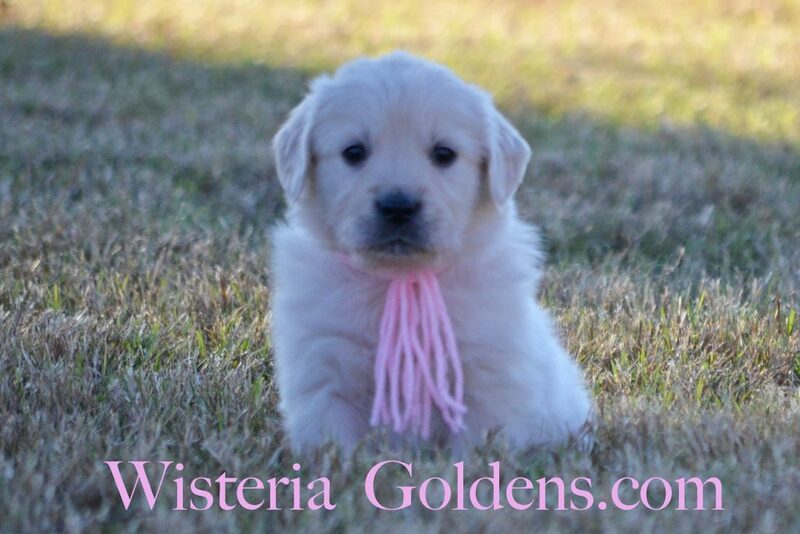 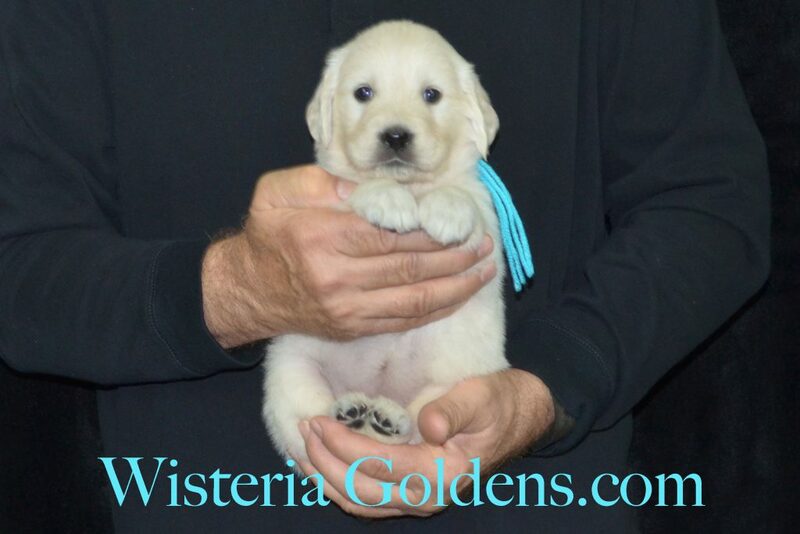 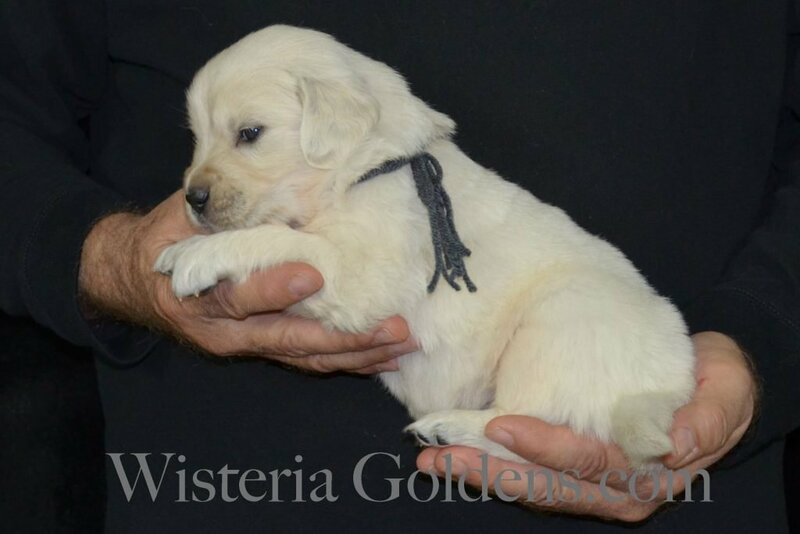 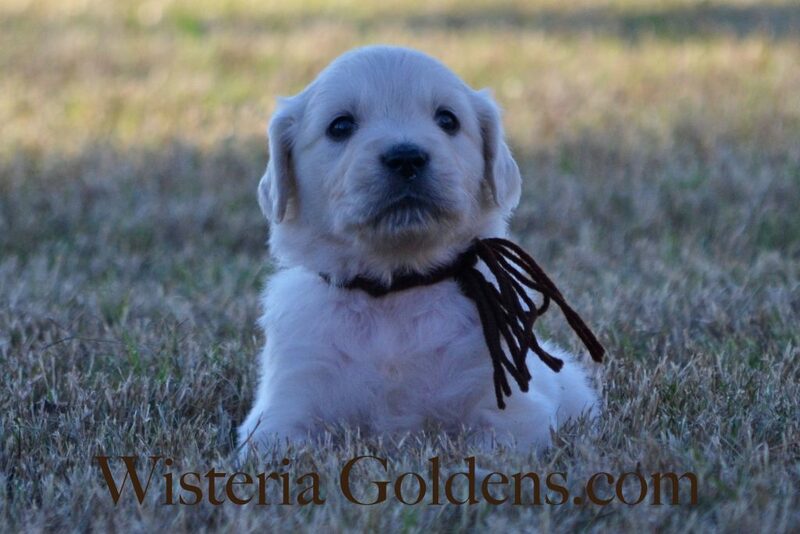 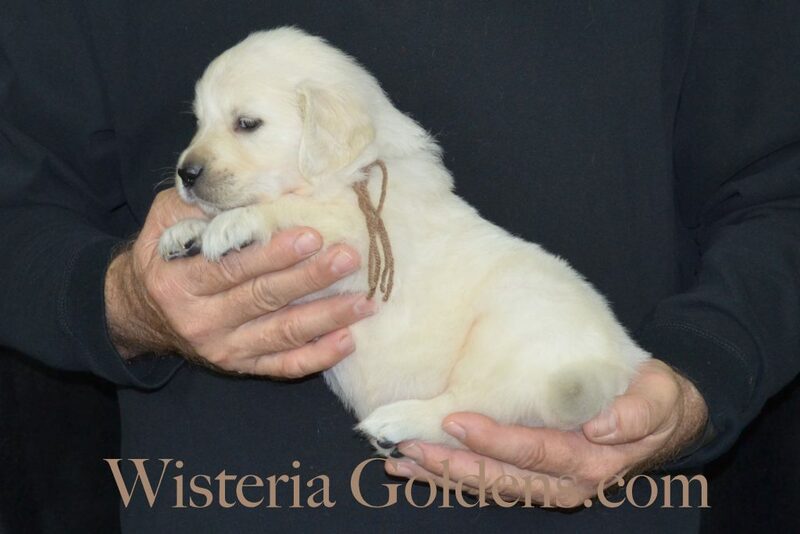 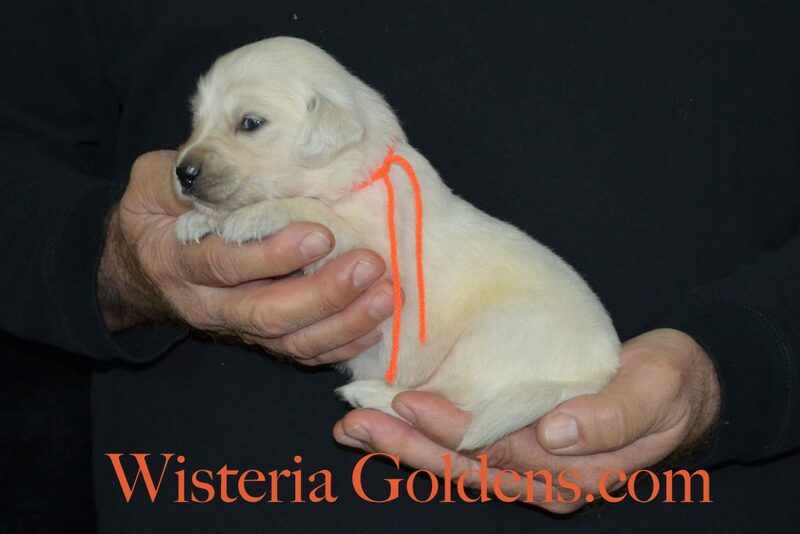 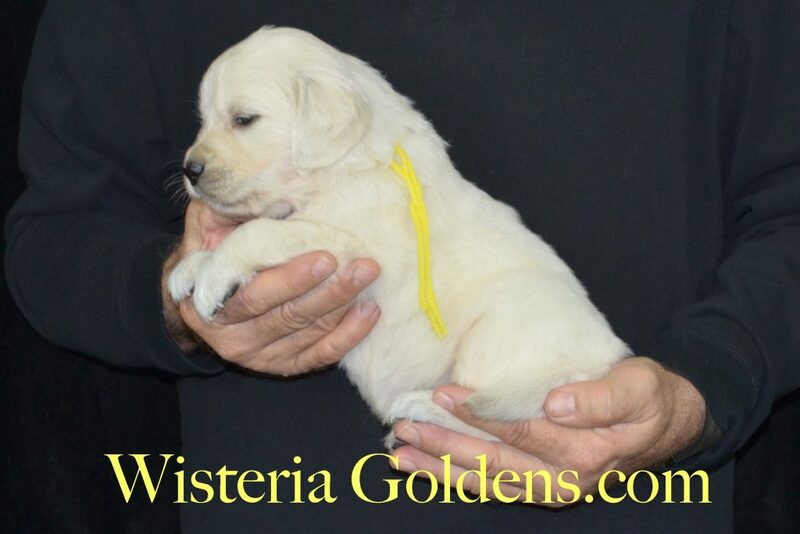 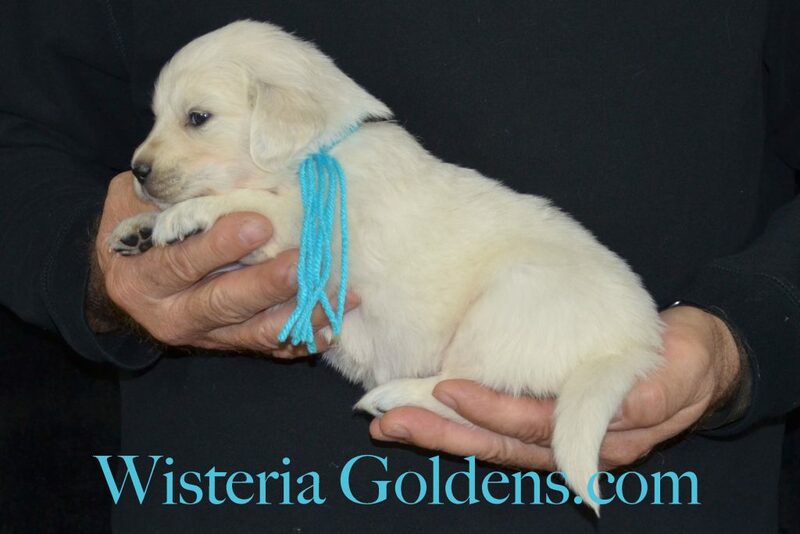 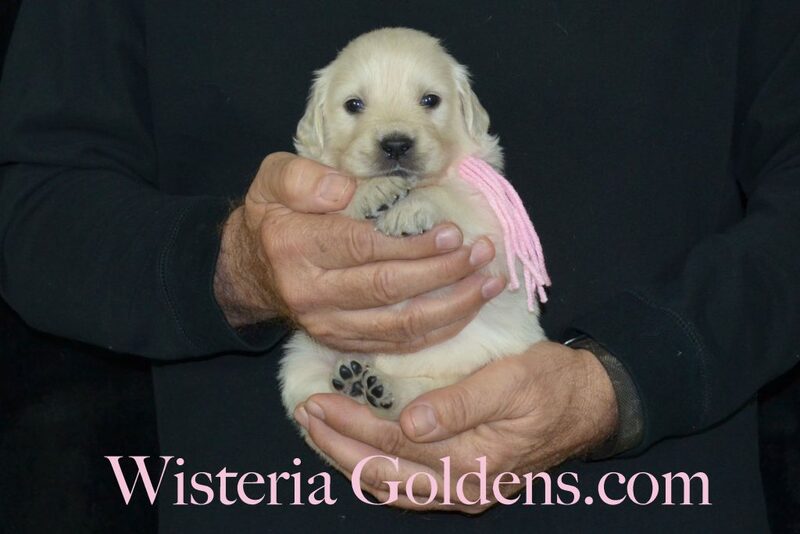 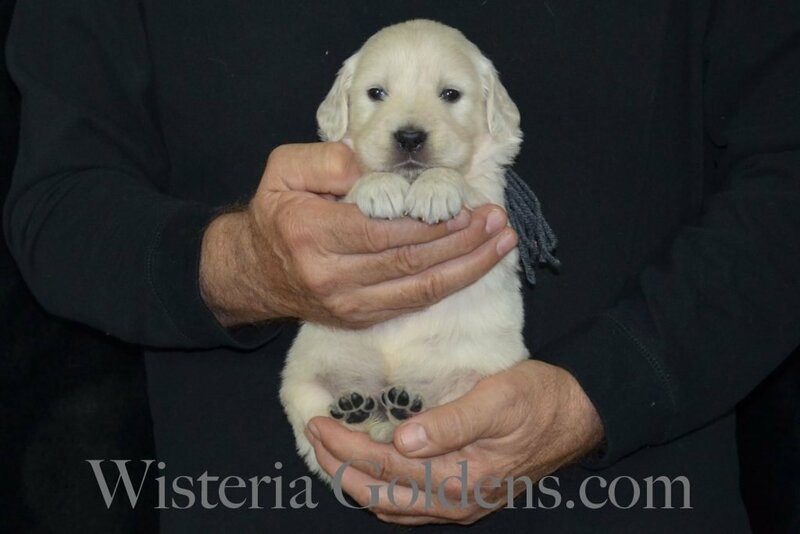 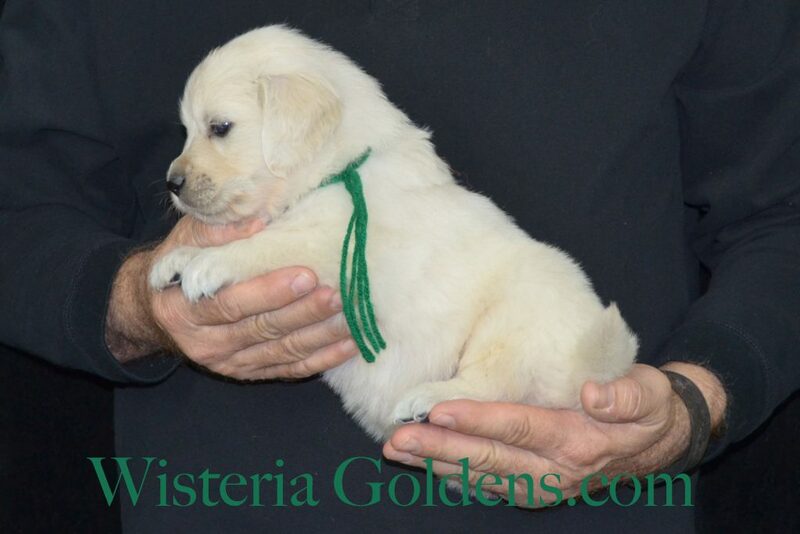 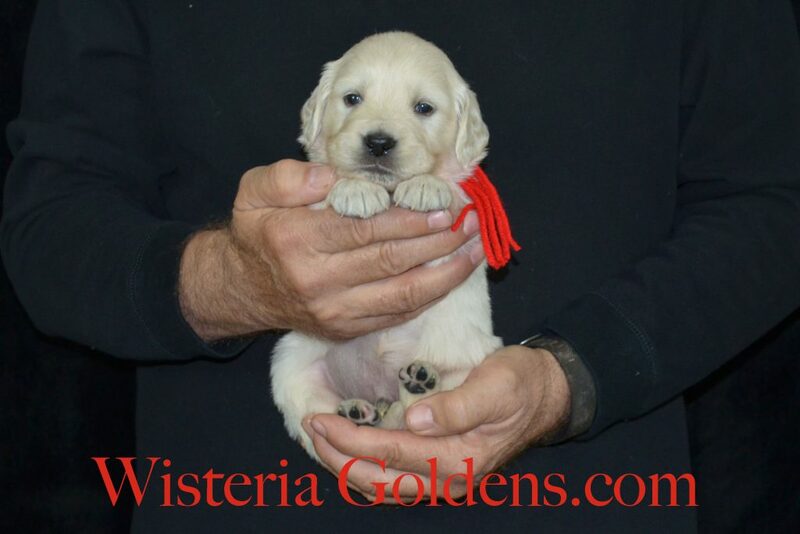 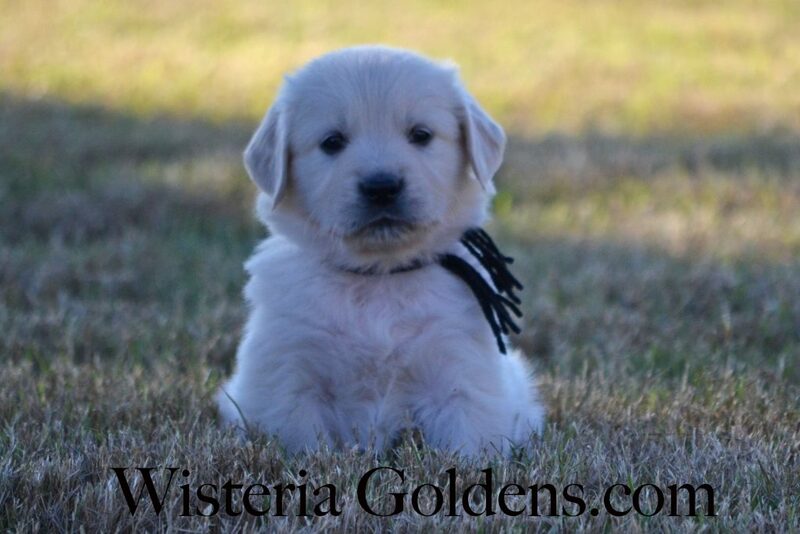 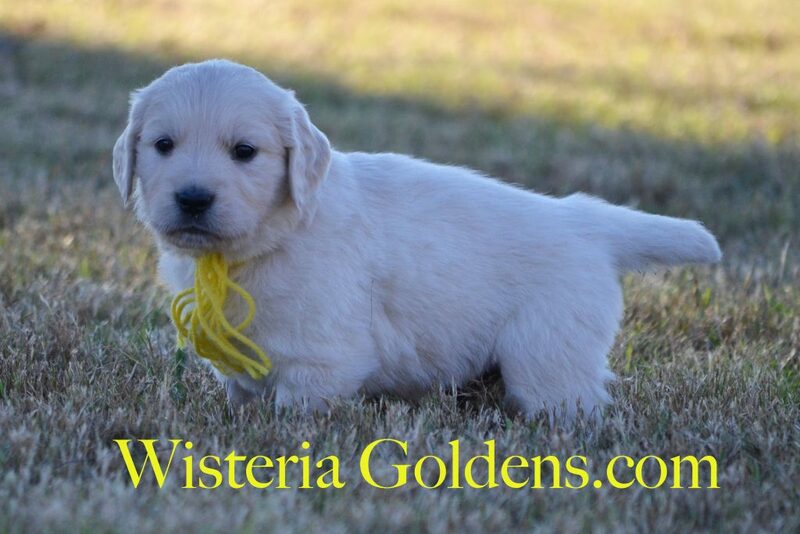 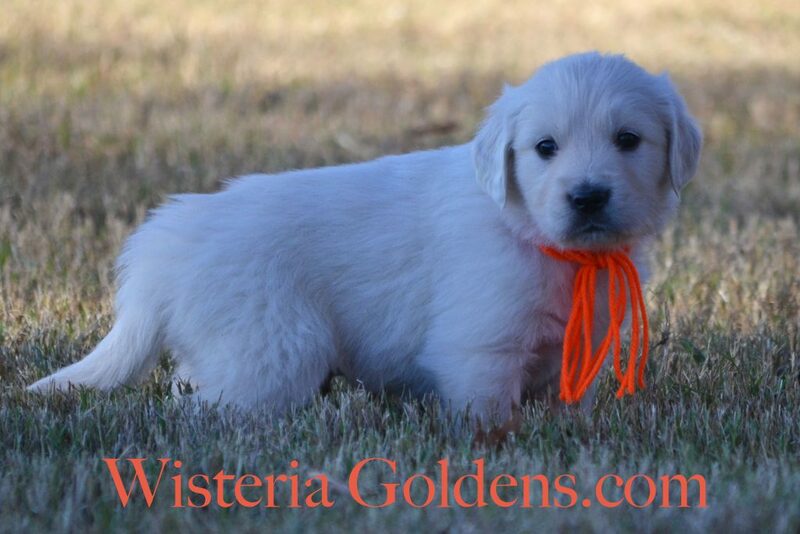 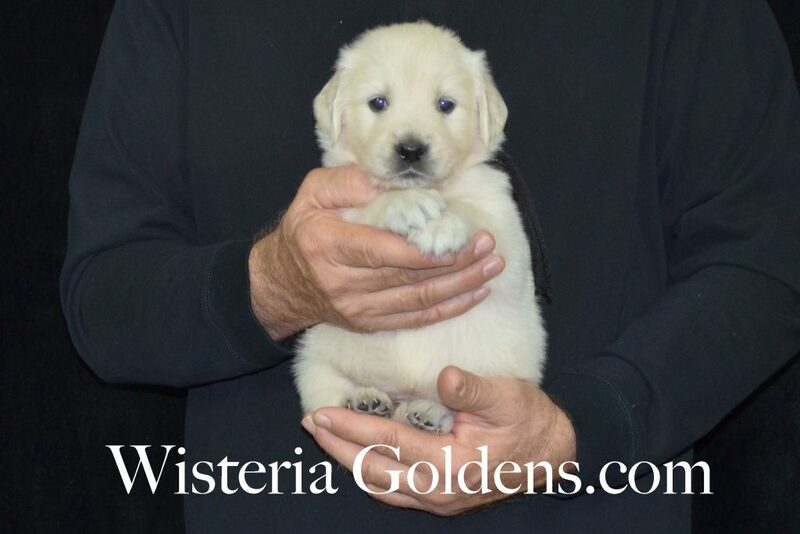 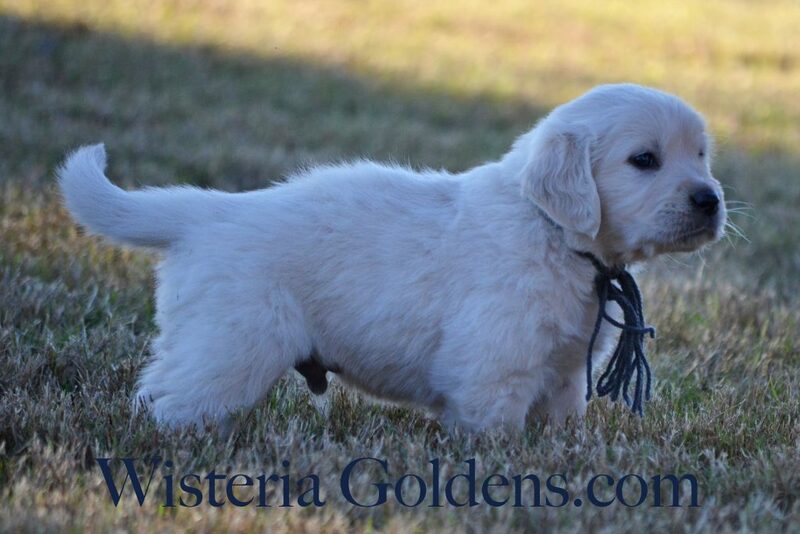 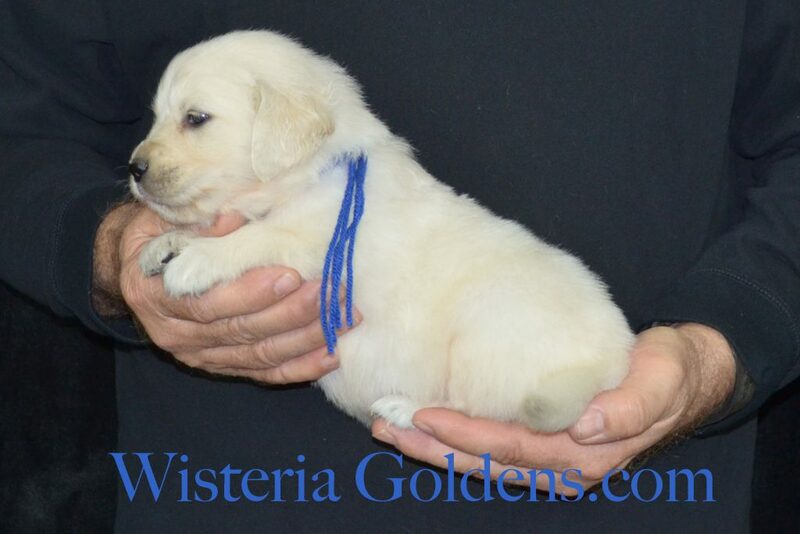 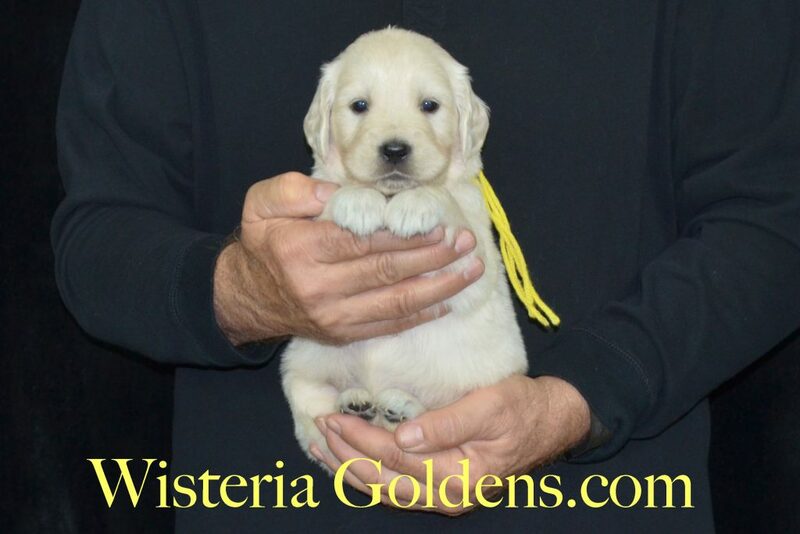 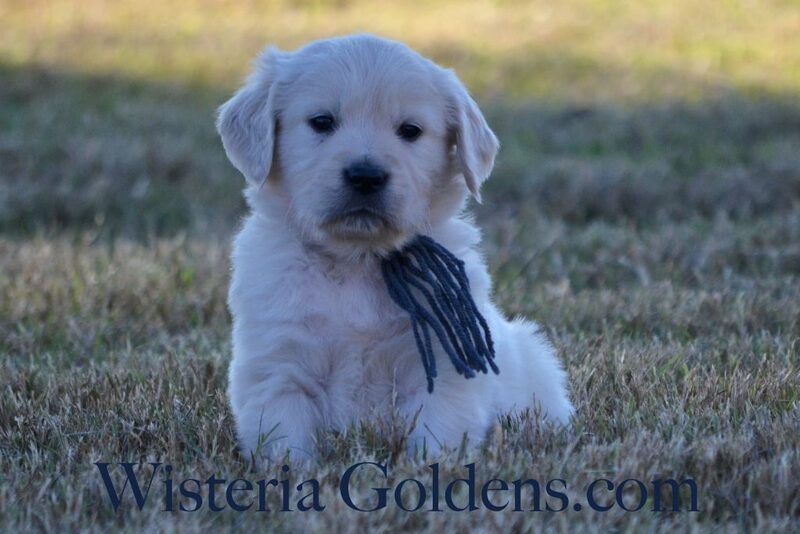 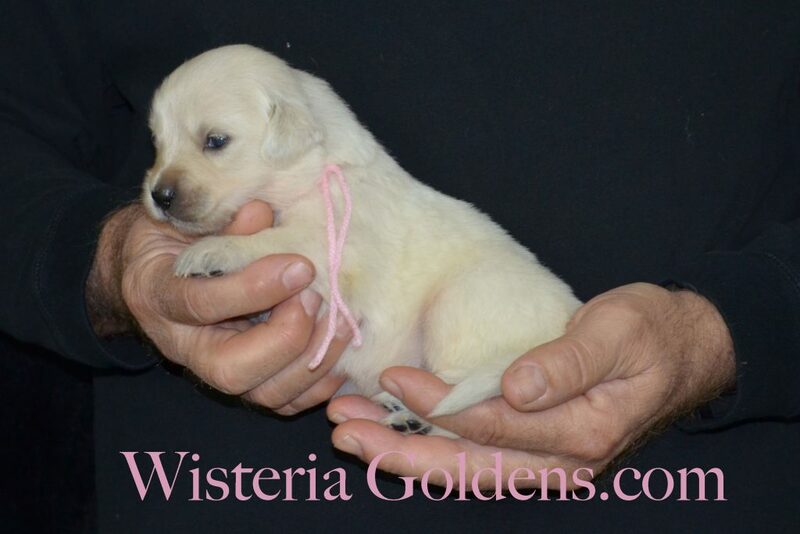 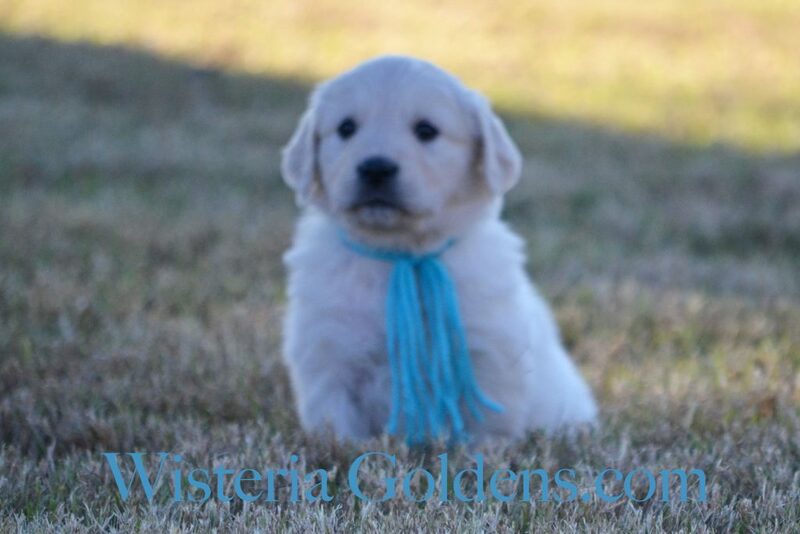 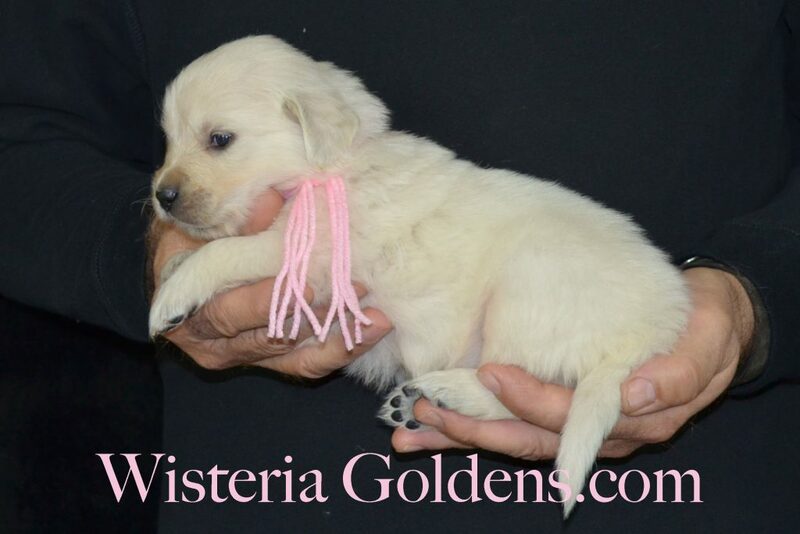 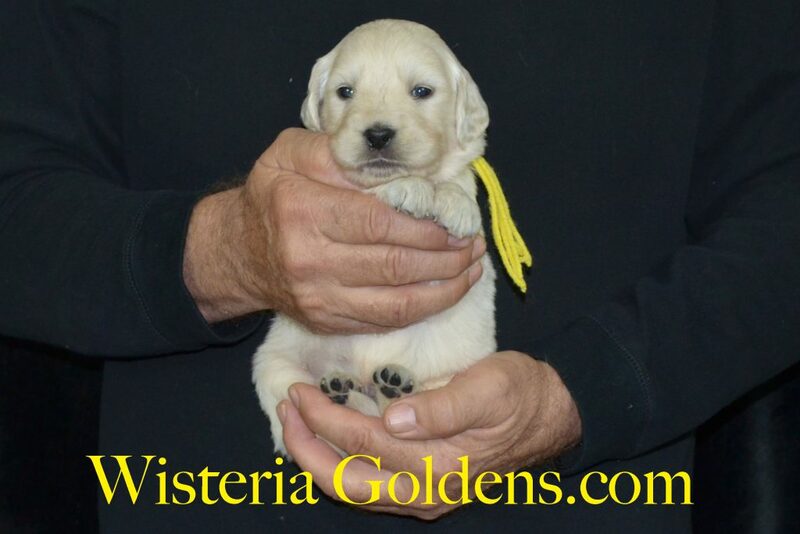 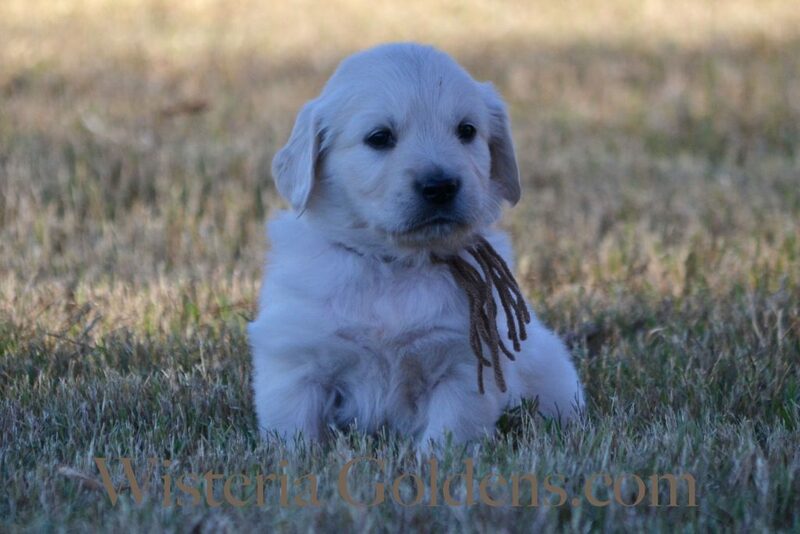 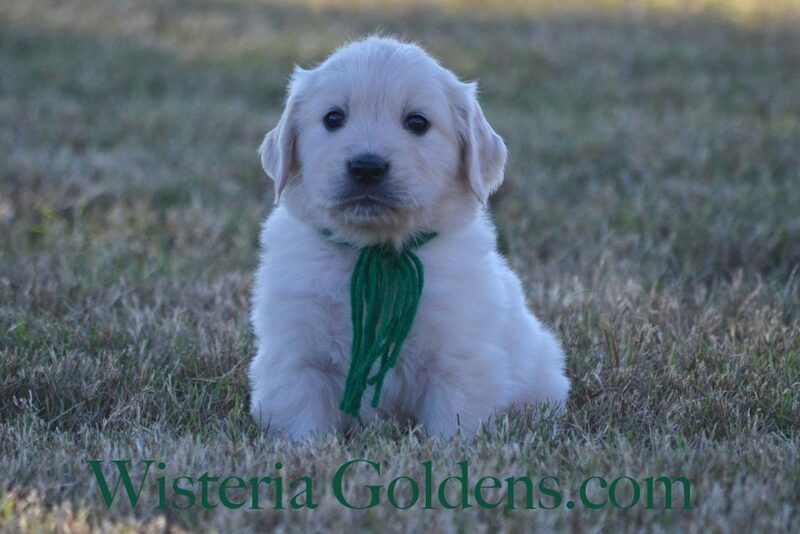 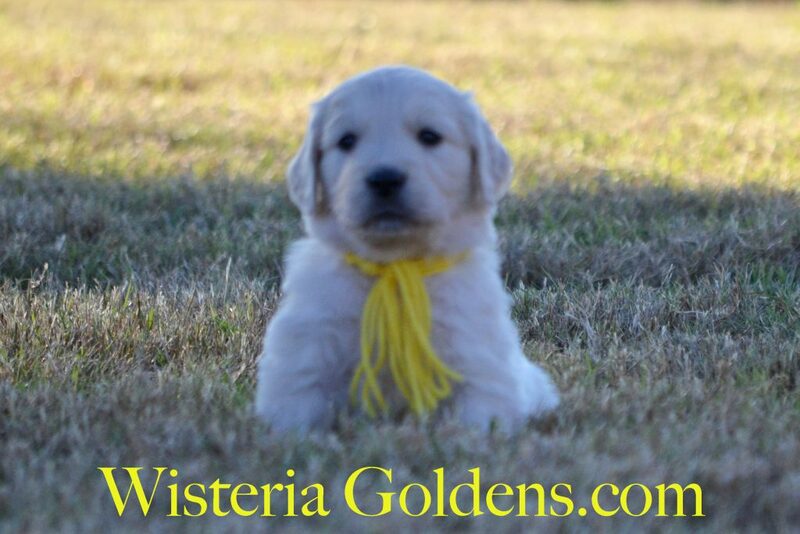 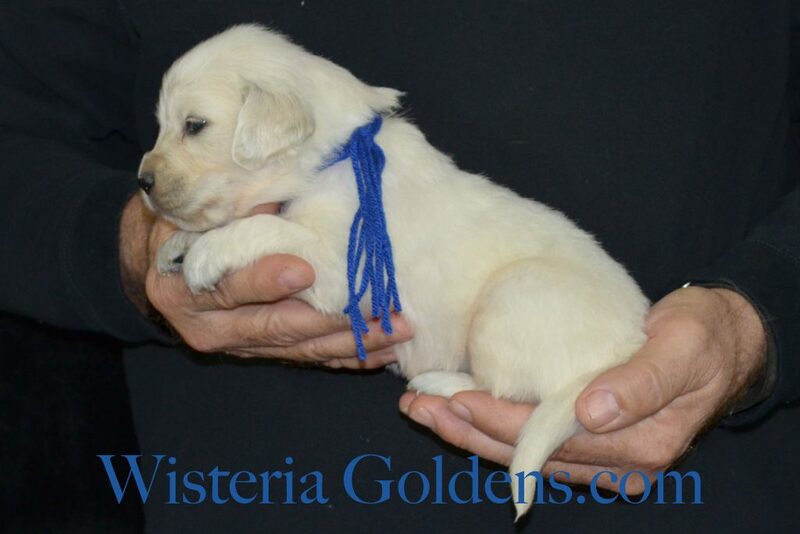 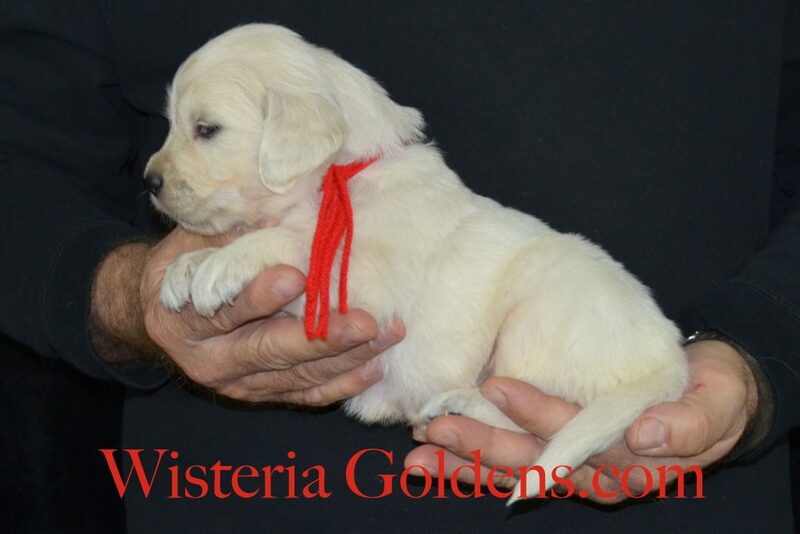 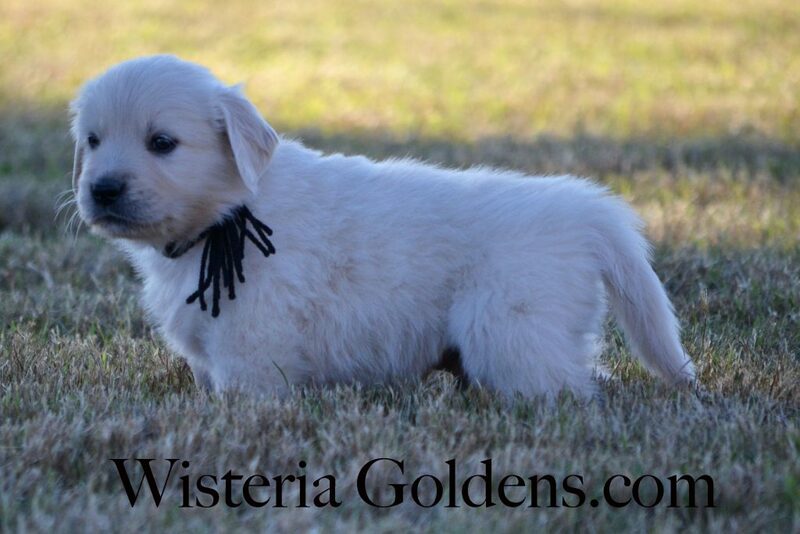 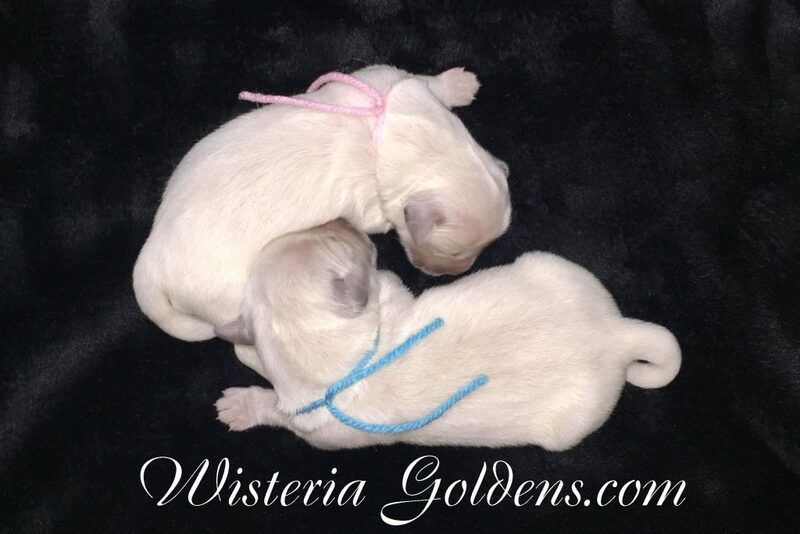 All Wisteria English Cream Golden Retriever puppies receive lots of love, attention, socialization, and are started on basic training. 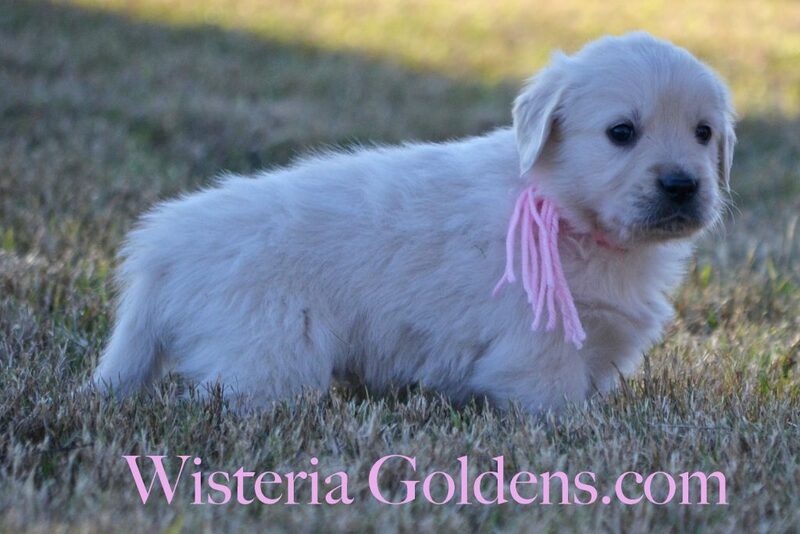 Pink Girl is an affectionate, playful, fun, sassy kind of girl — loves to run into your lap and then off to play again. 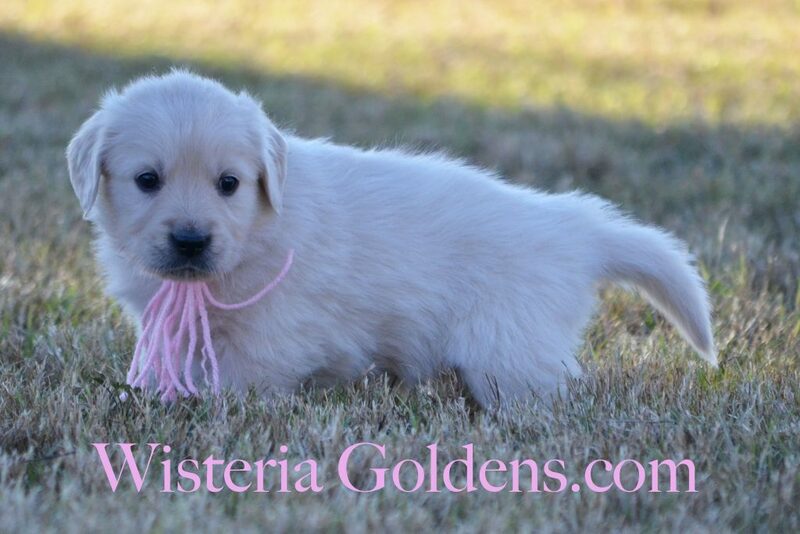 She loves to play with toys and check out new things. 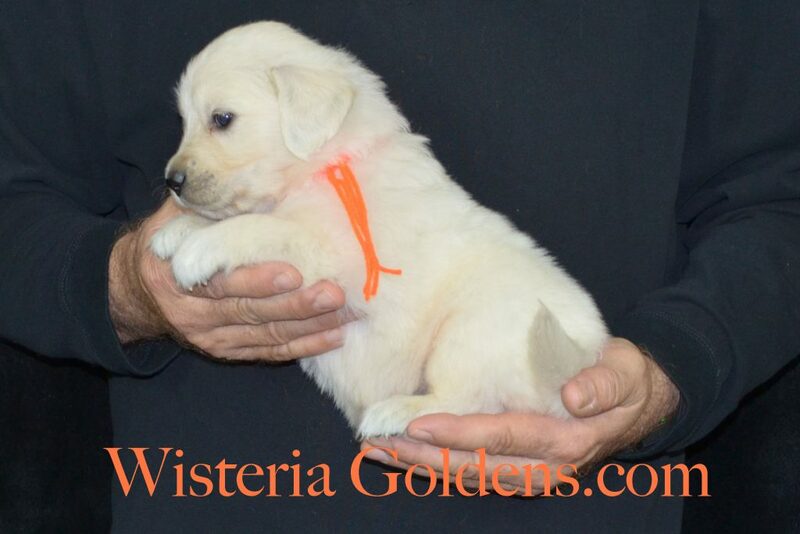 She has a square/block head and light in color. 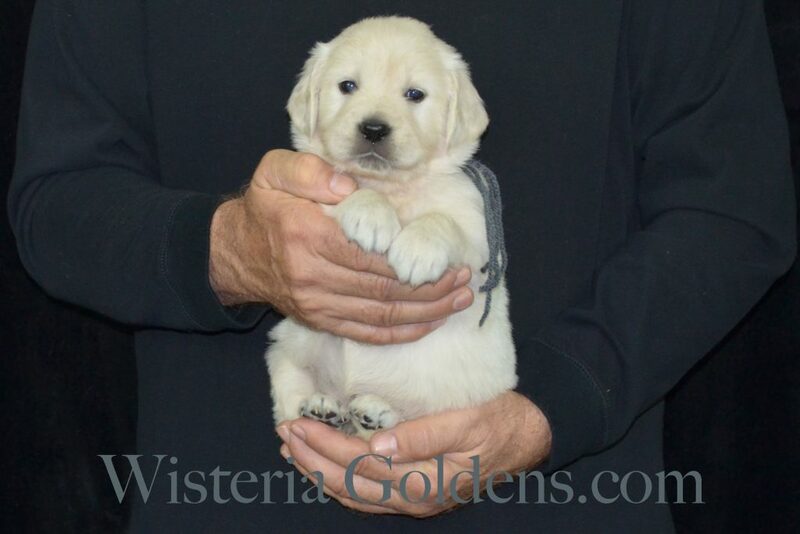 She has a mid-range energy level and has little fuss in the crate. 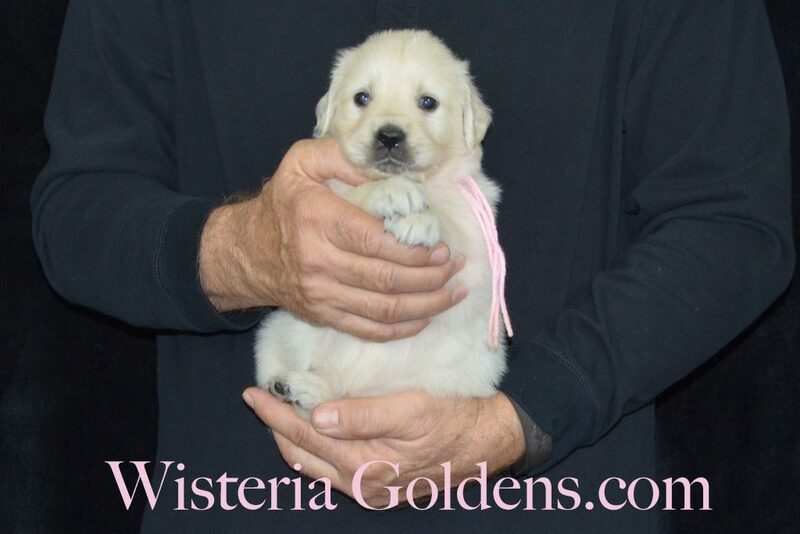 She weighs: 6.0 lbs.